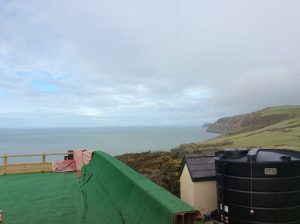 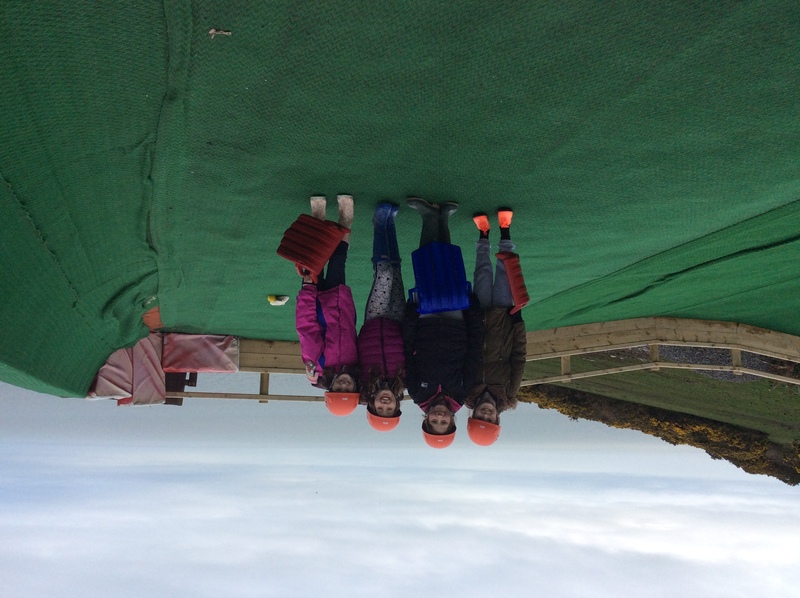 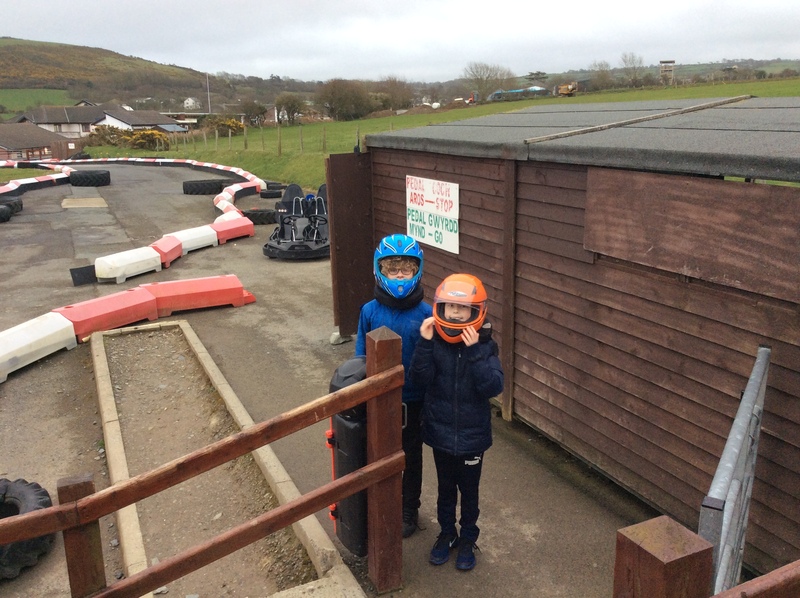 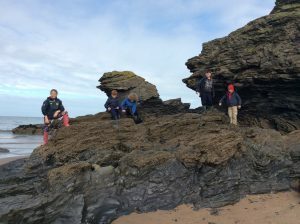 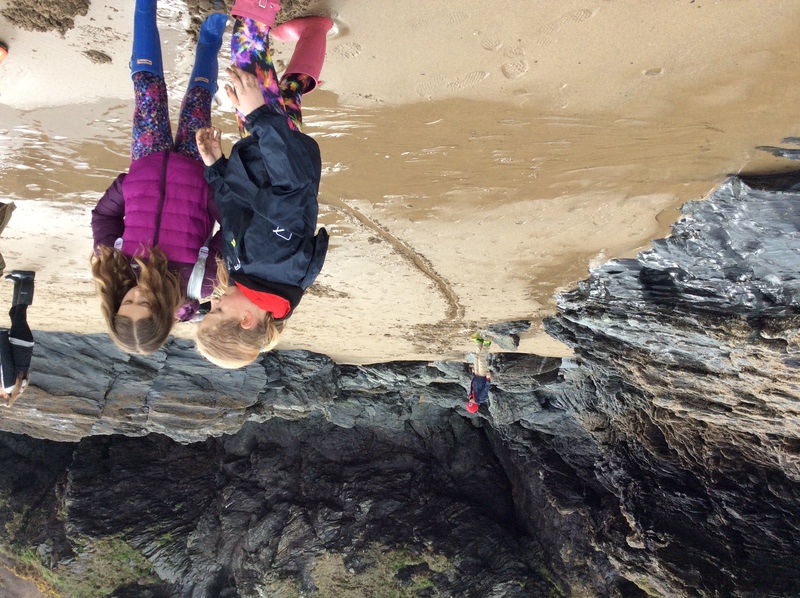 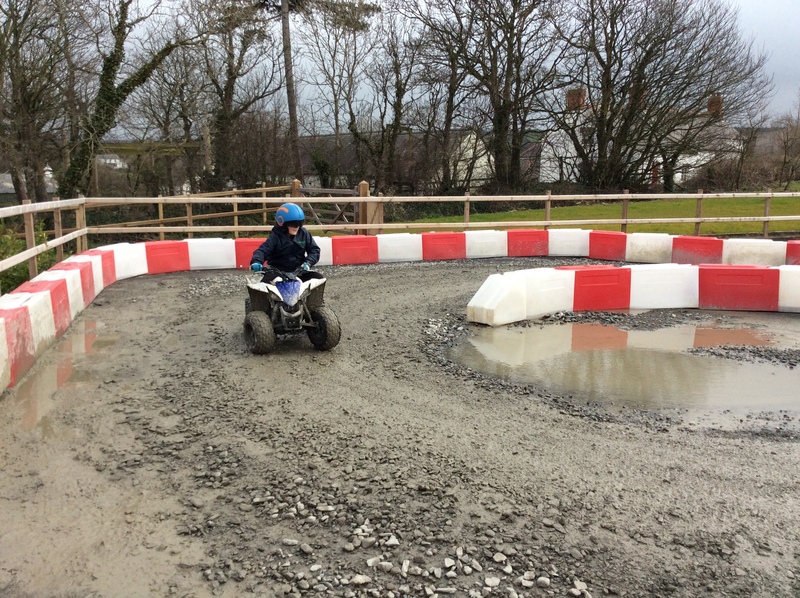 The children had an absolutely amazing time in Llangrannog. 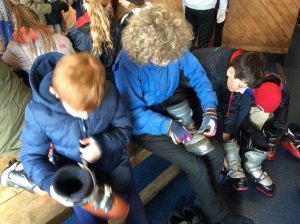 After nearly three hours on the bus we eventually arrived at 12.30pm on Monday 18th March. 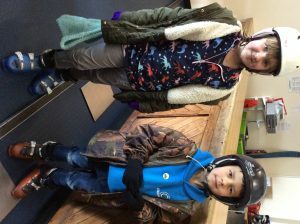 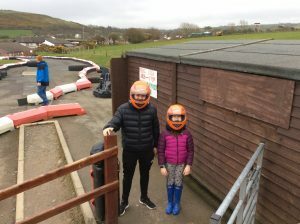 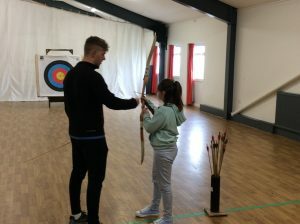 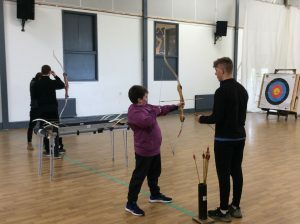 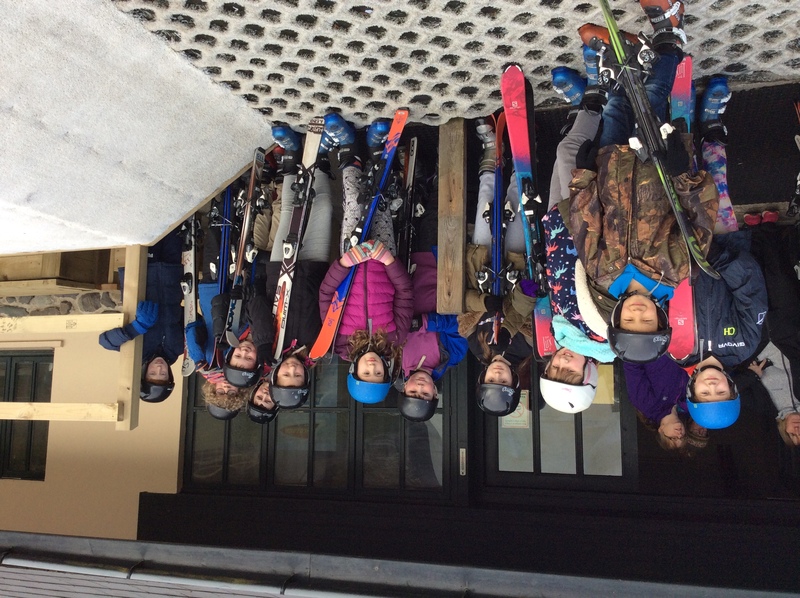 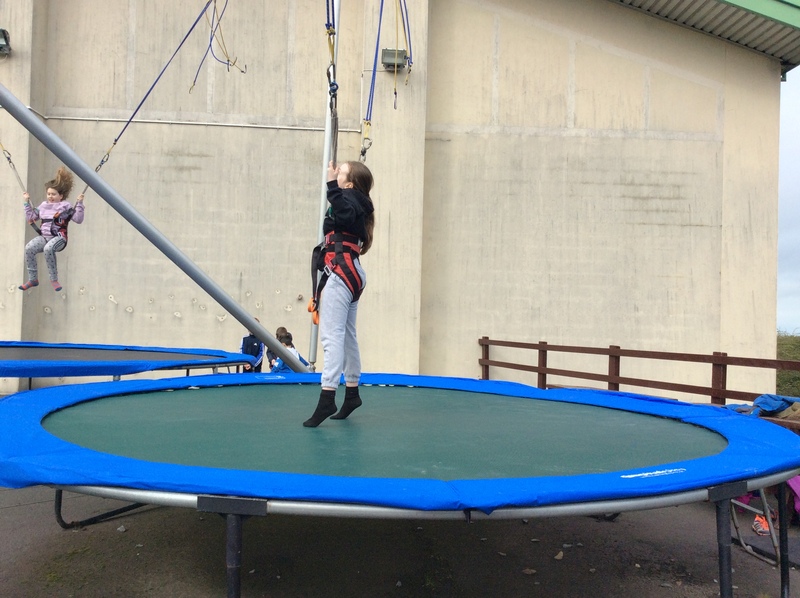 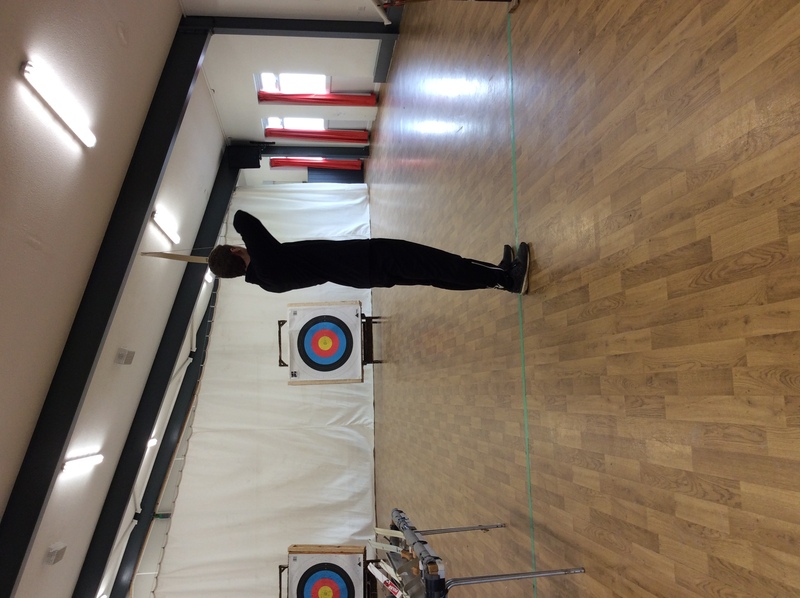 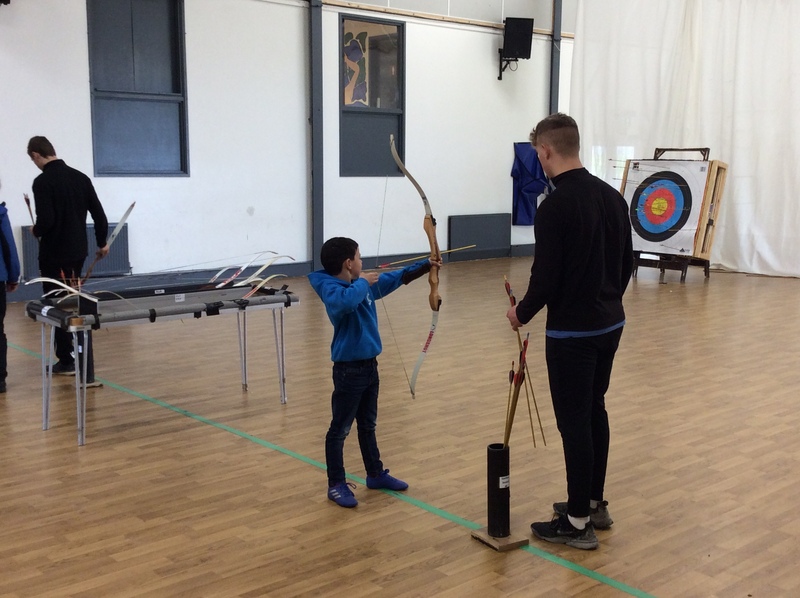 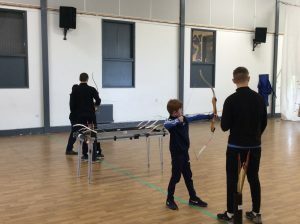 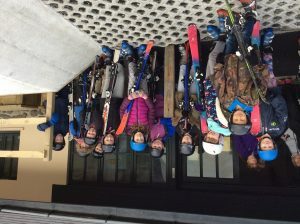 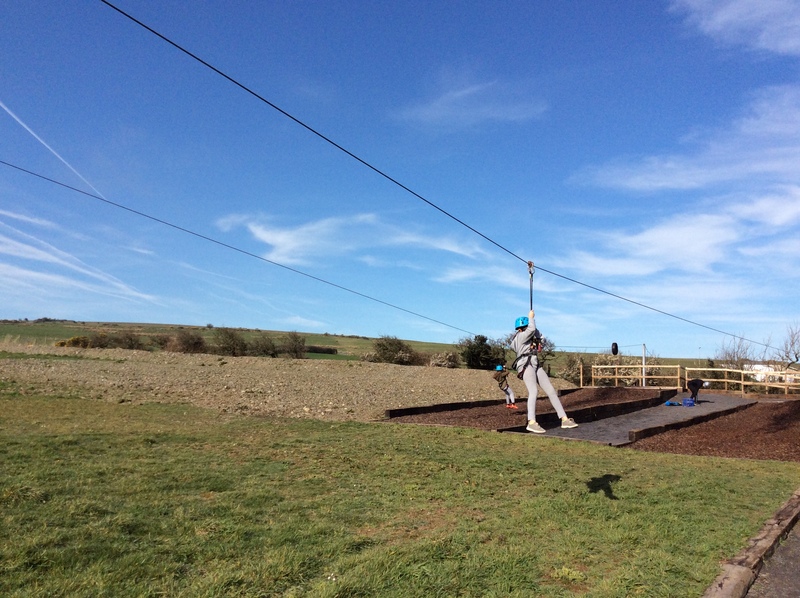 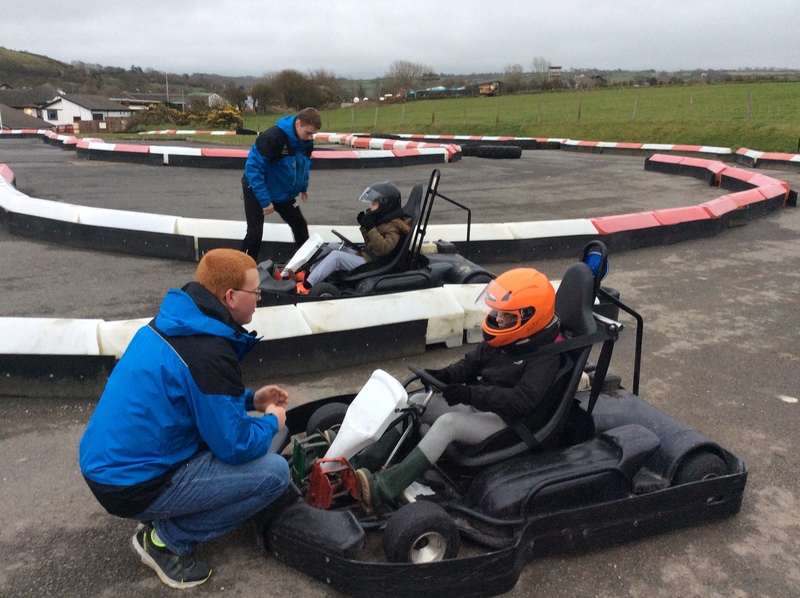 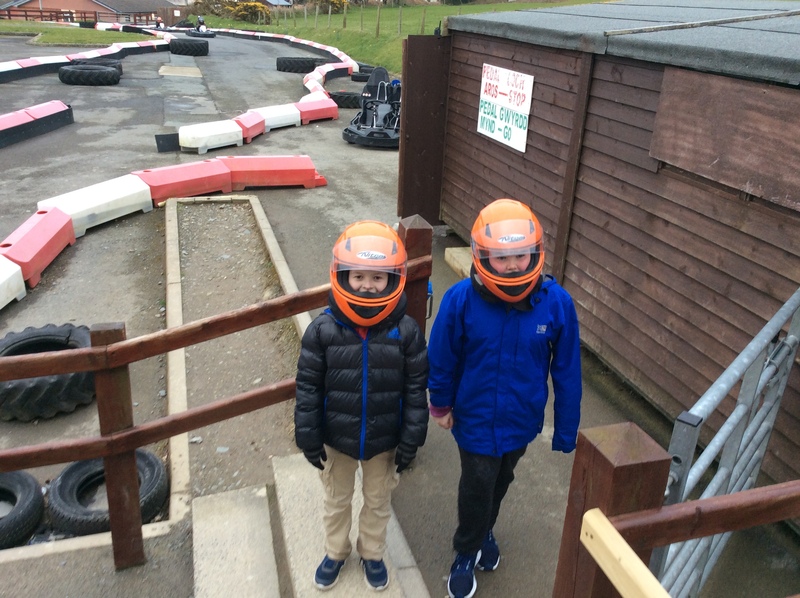 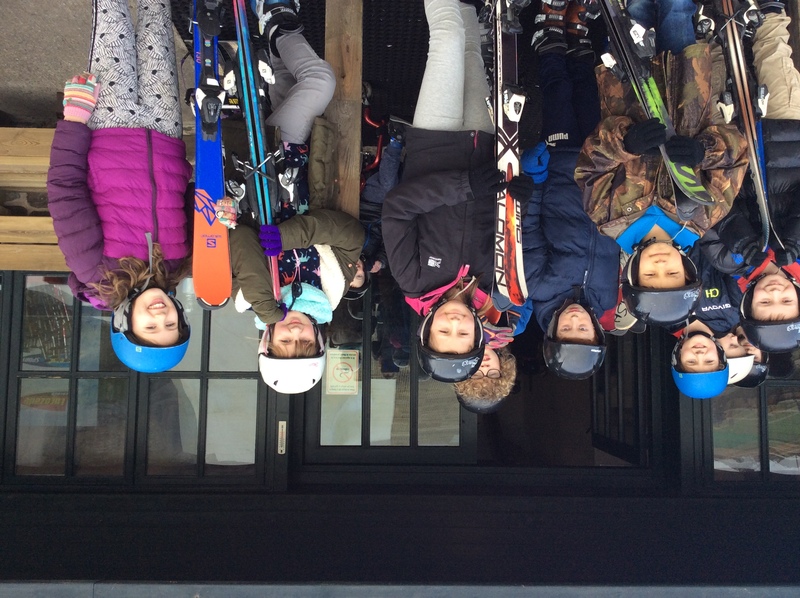 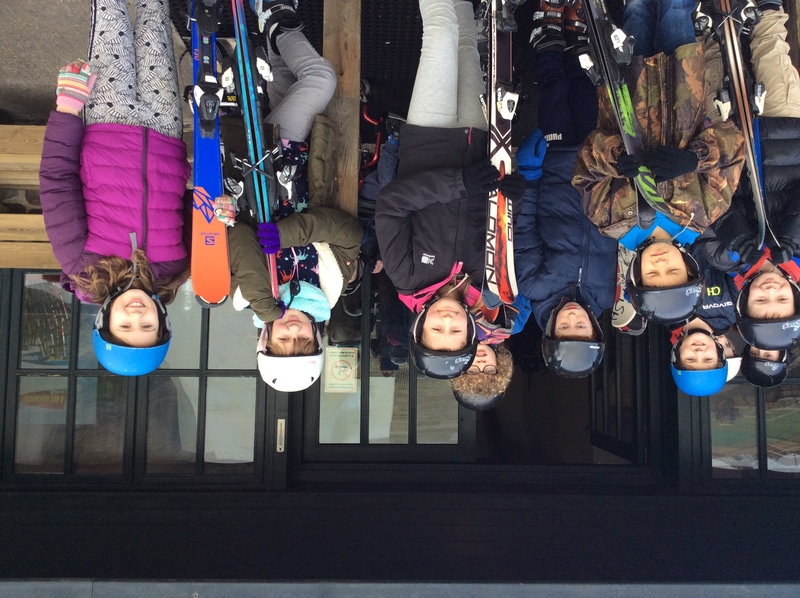 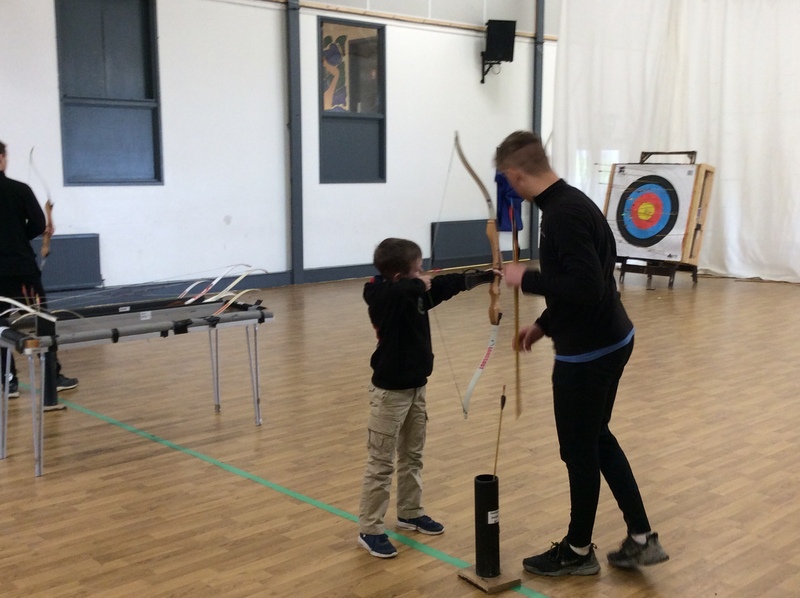 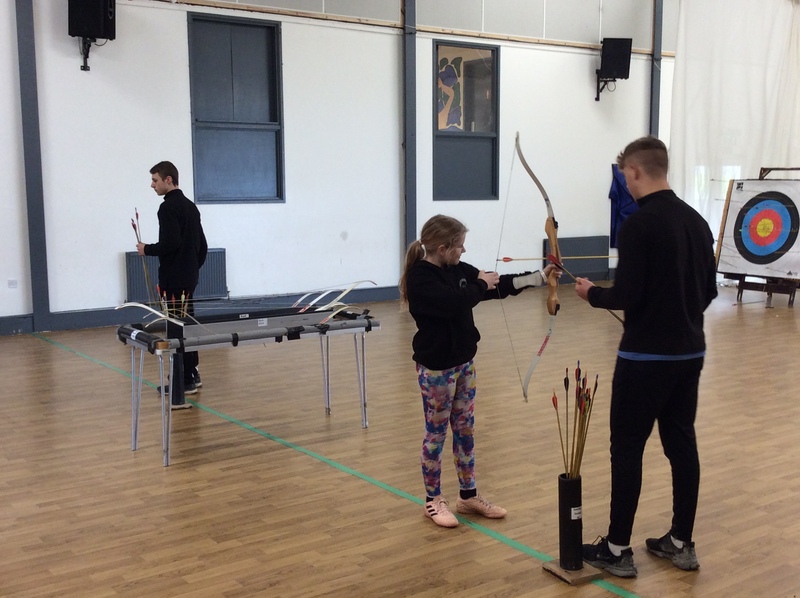 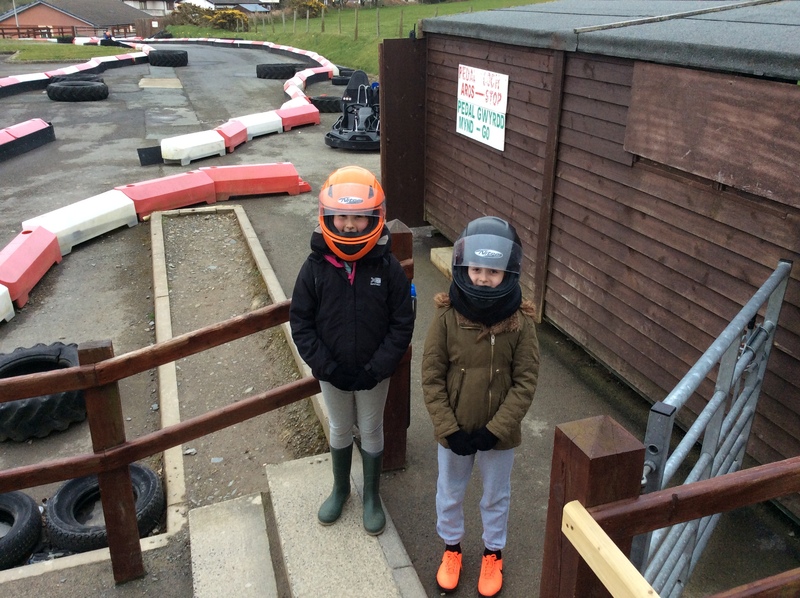 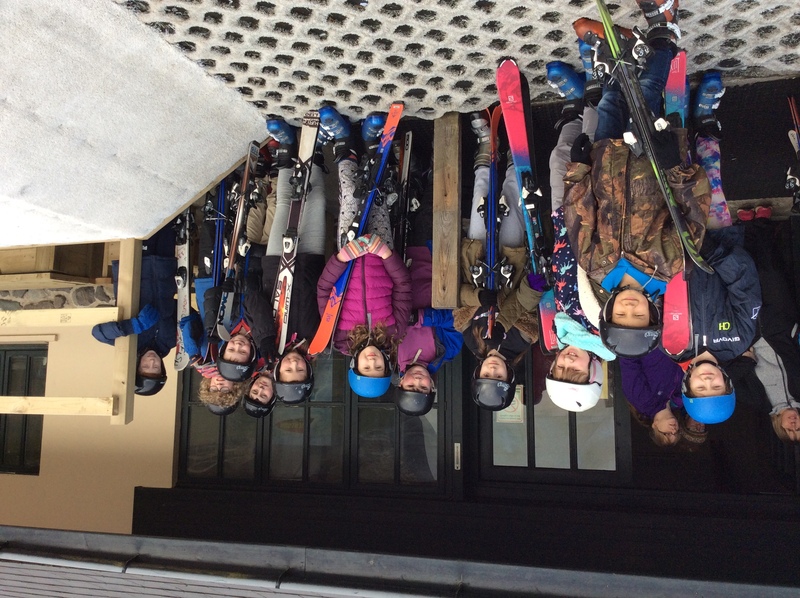 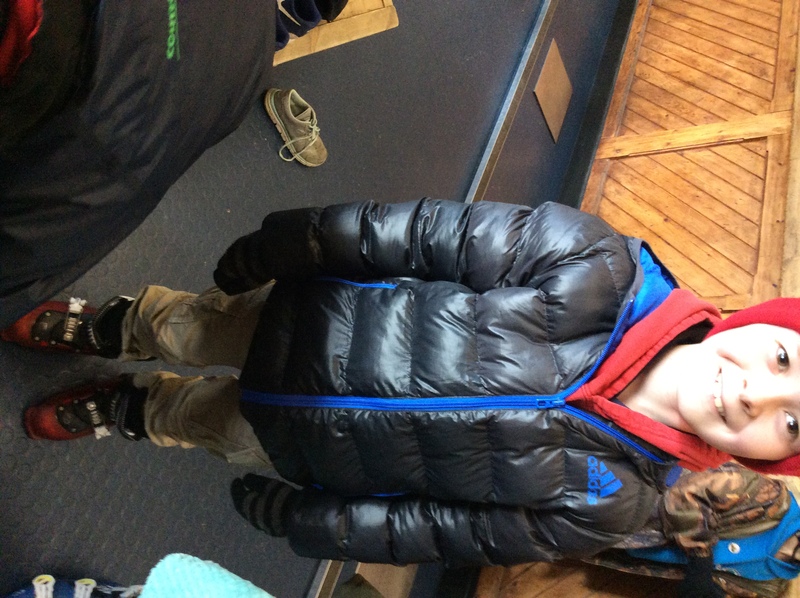 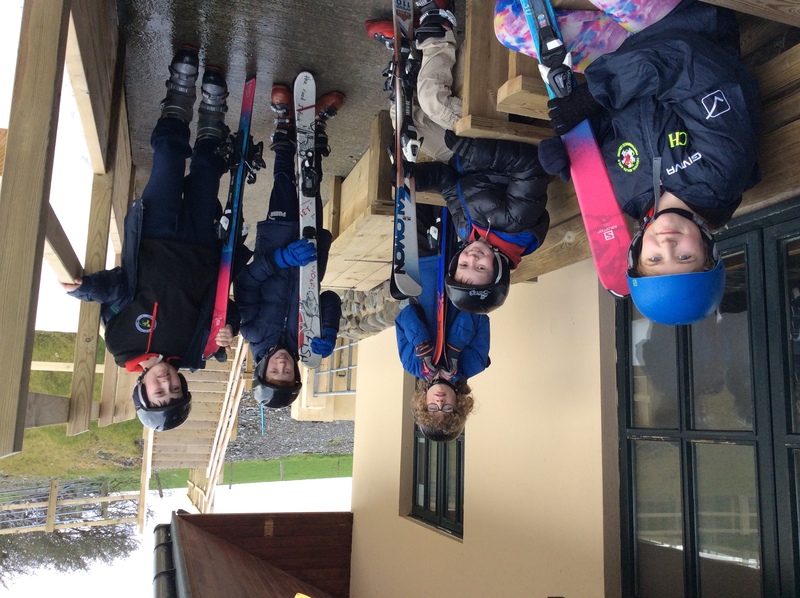 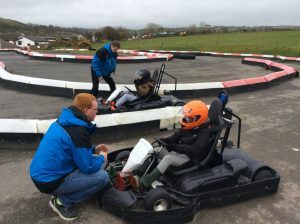 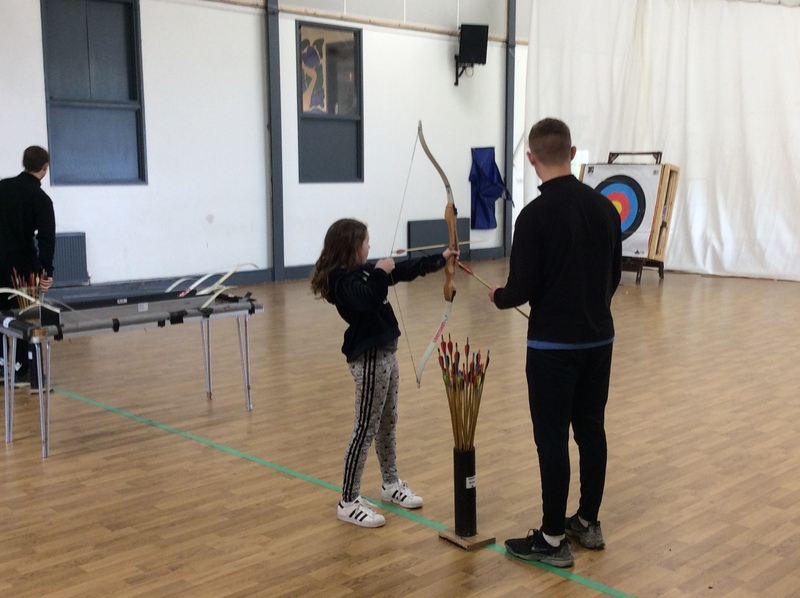 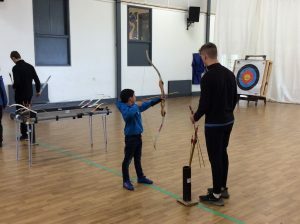 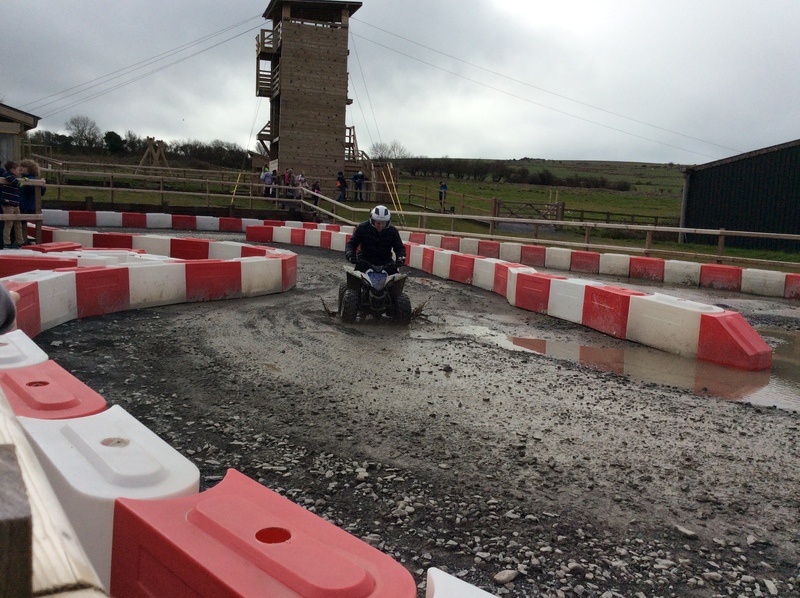 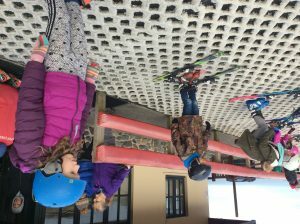 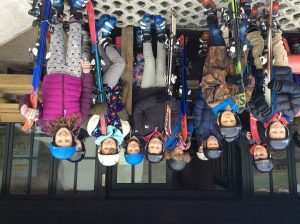 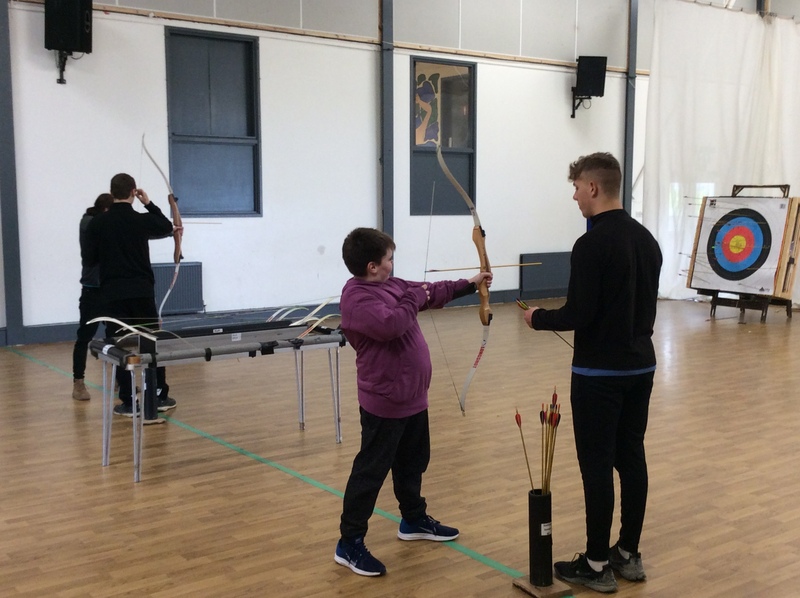 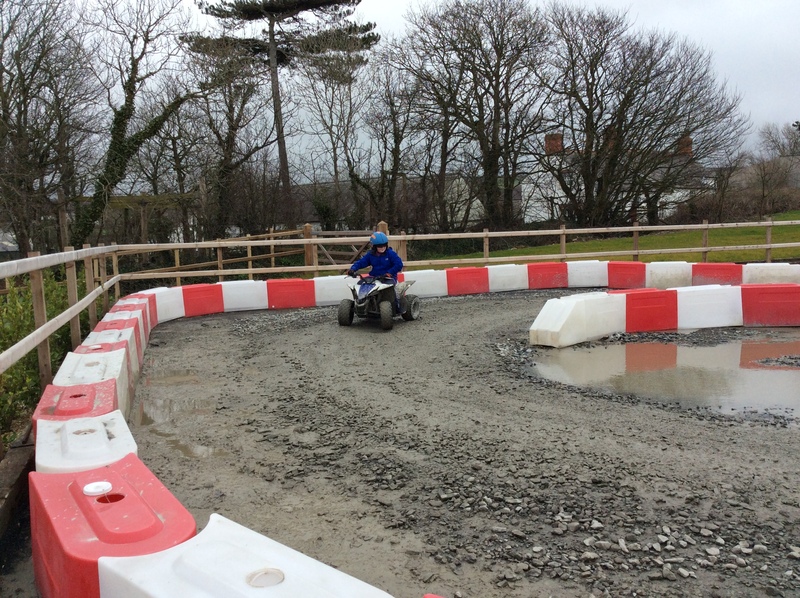 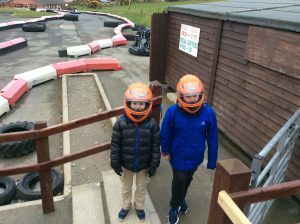 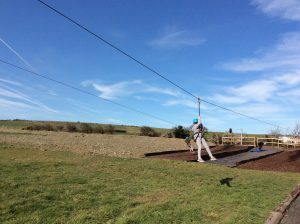 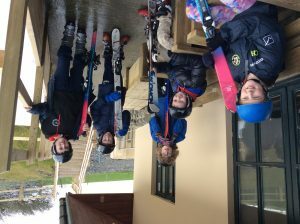 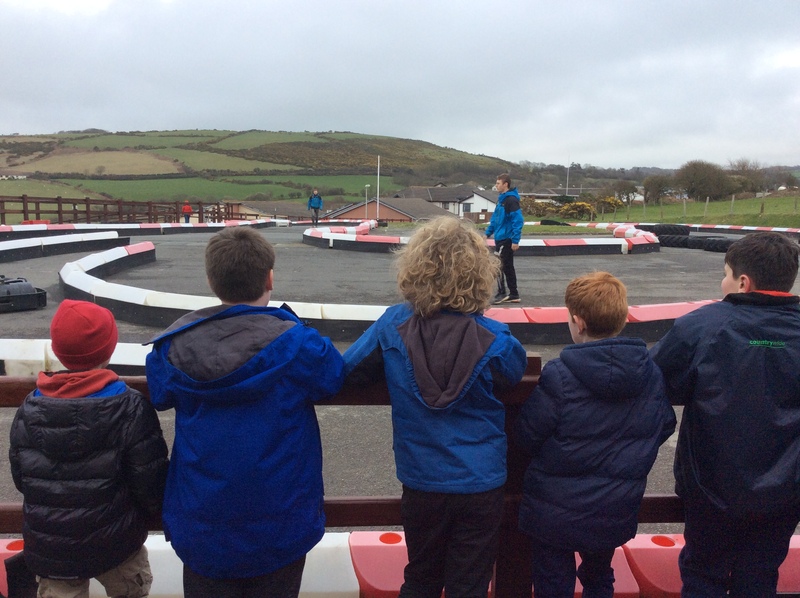 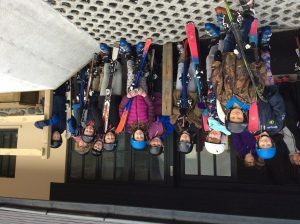 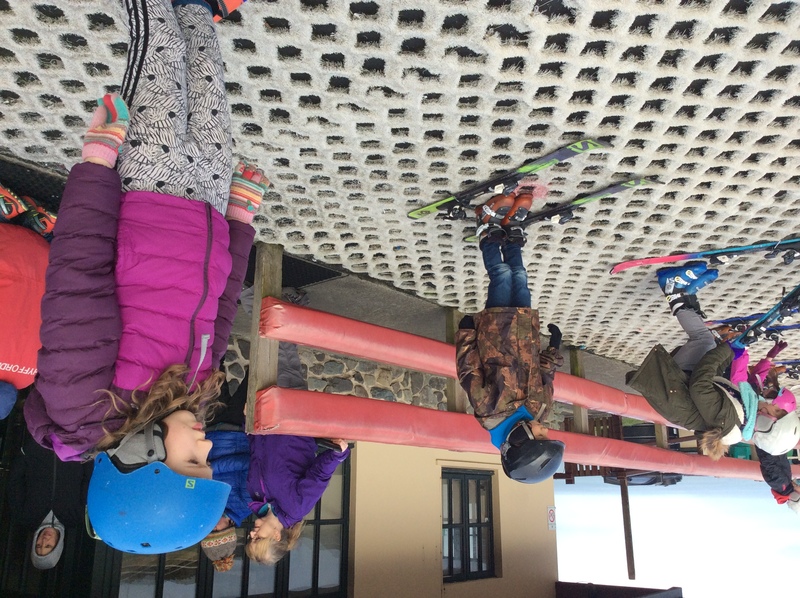 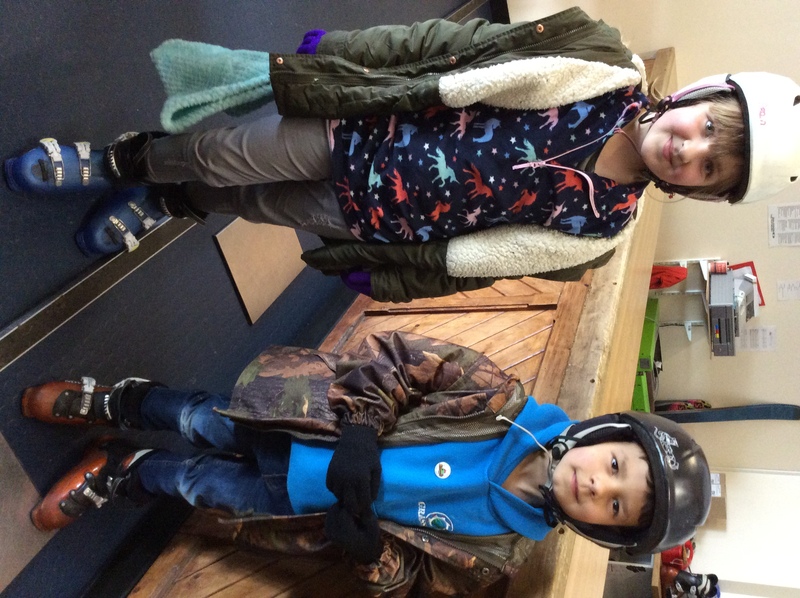 Our first day’s activities included, archery, skiing, tobogganing and go karting. 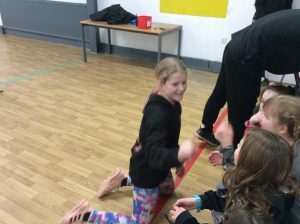 After food the evening activities included: indoor sports games, a quiz and bingo. The children went back to their rooms by 10pm. 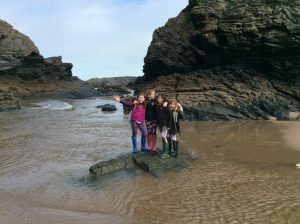 The next morning after breakfast we went for a glorious walk to the beach. 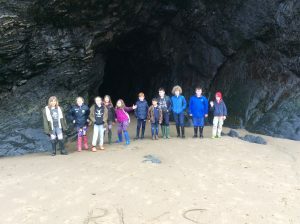 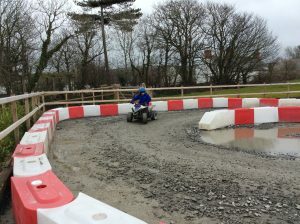 Children then enjoyed some great fun on the beach, next was horse riding followed by trampolining and quad biking. 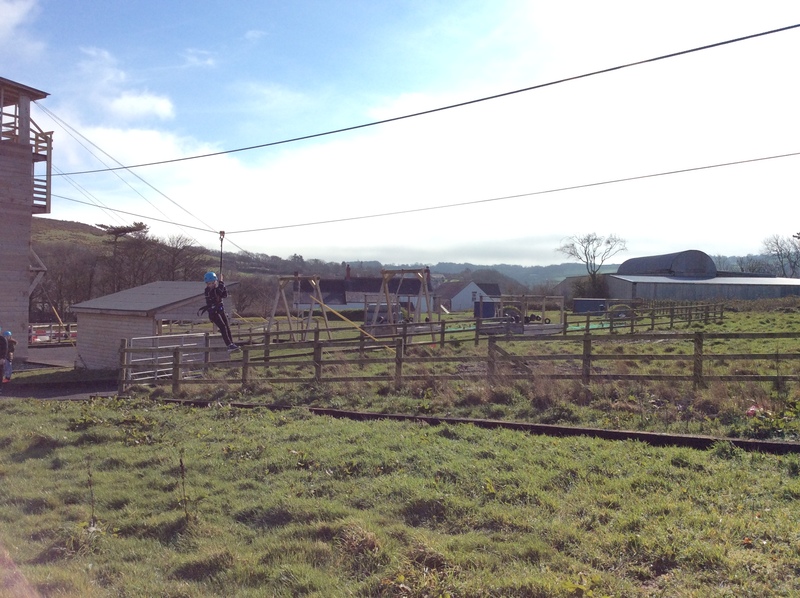 Children ended the day with high ropes and wall climbing before the DISCO! 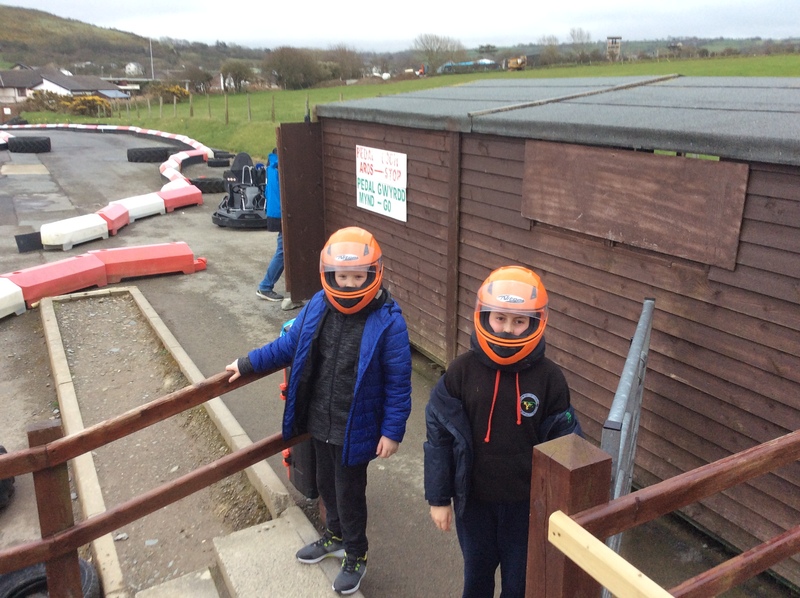 And we even had the boys up dancing. 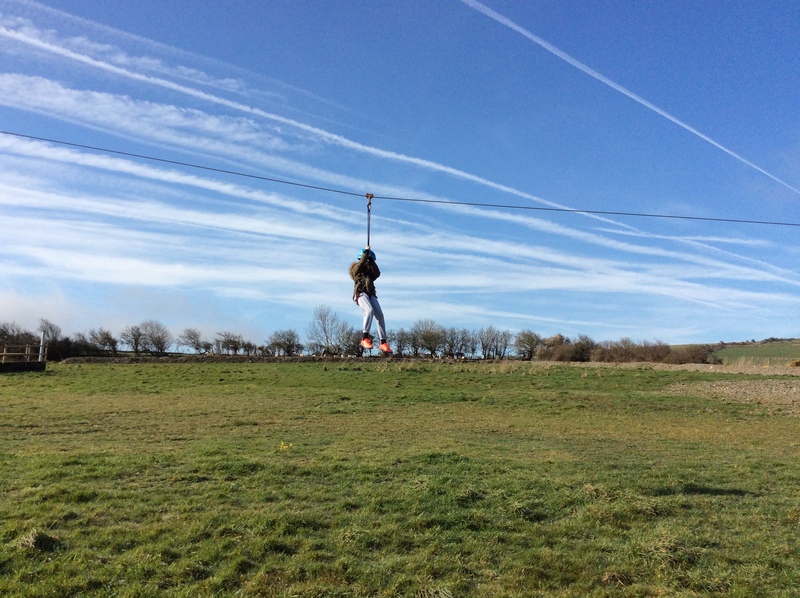 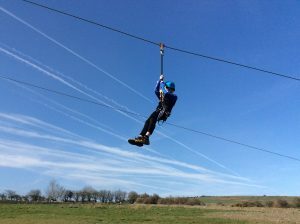 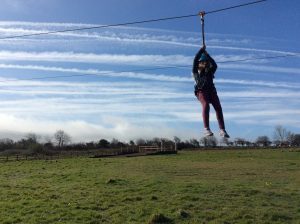 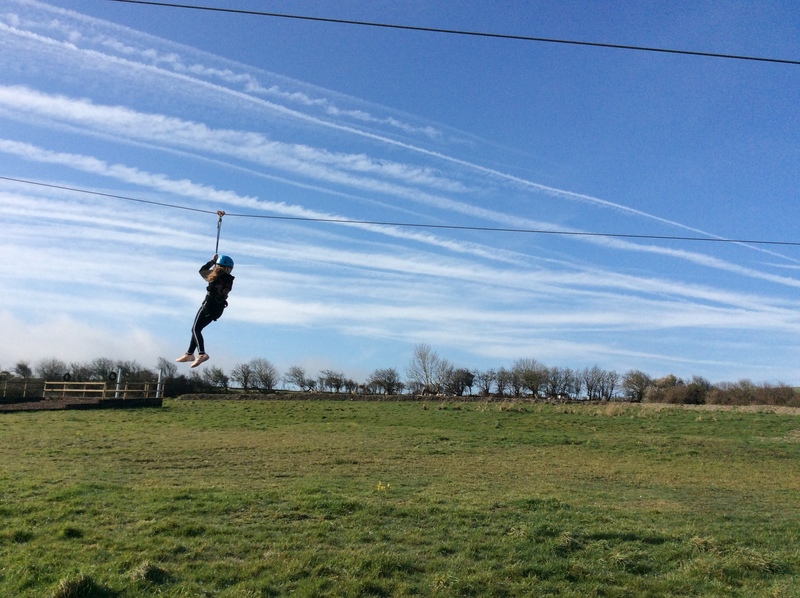 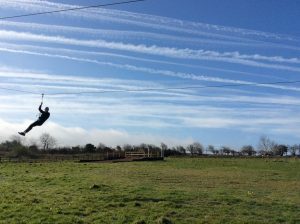 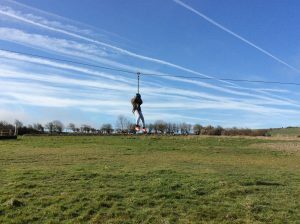 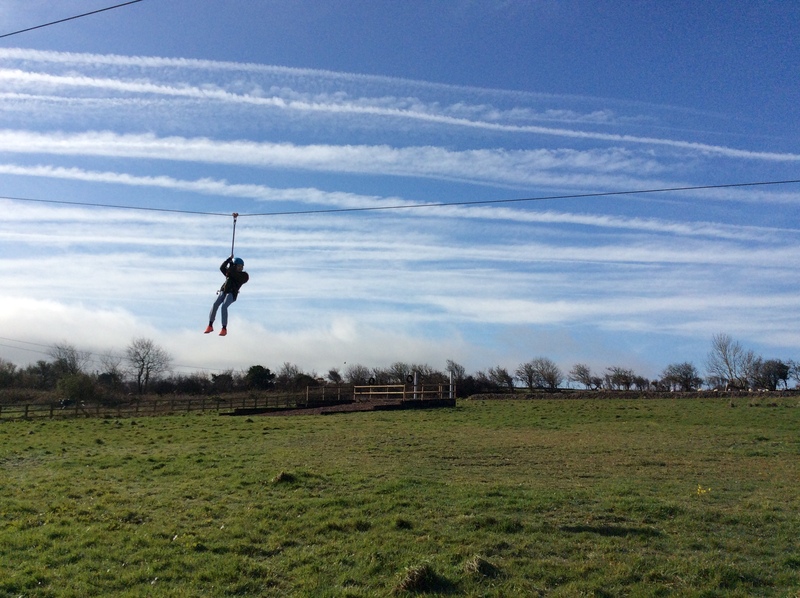 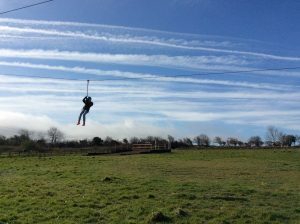 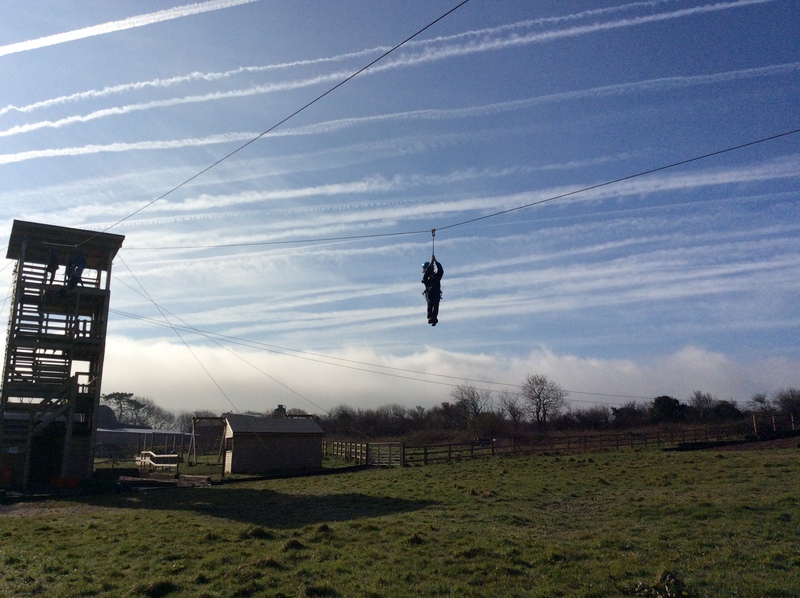 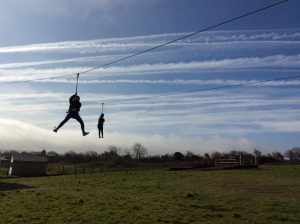 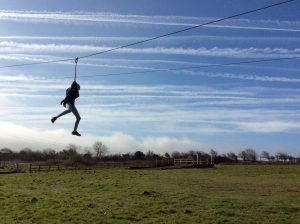 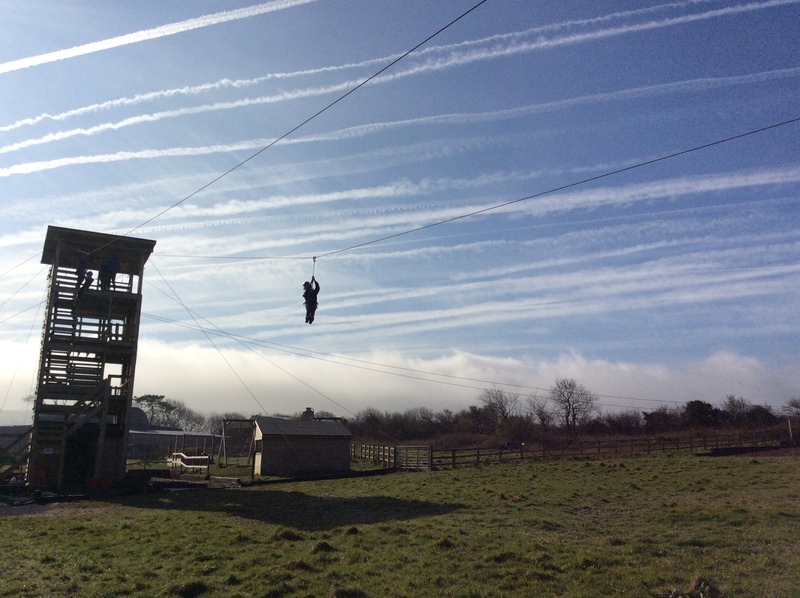 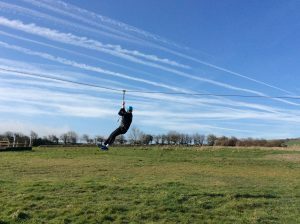 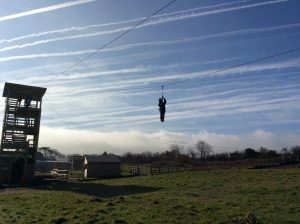 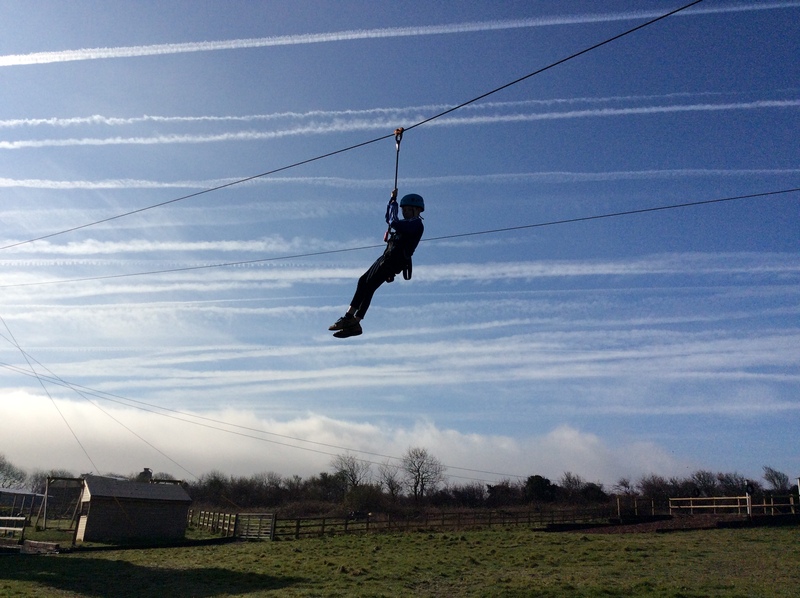 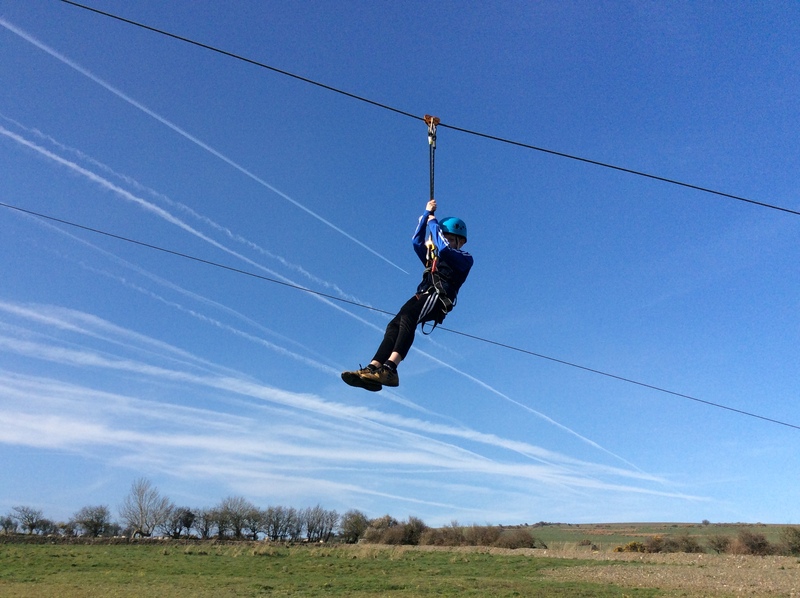 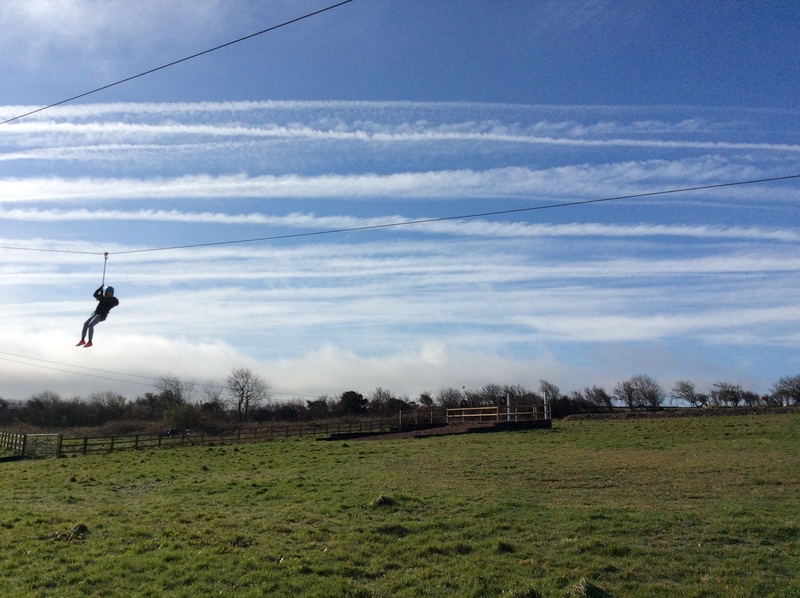 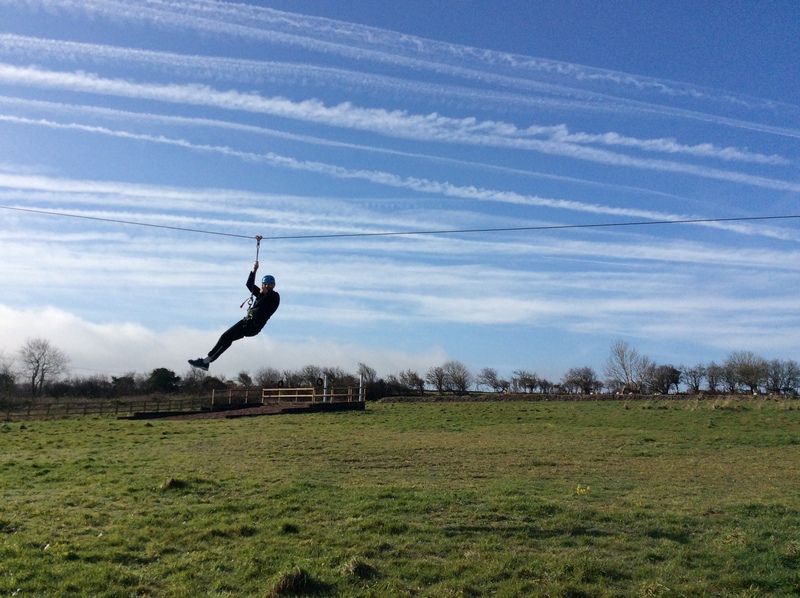 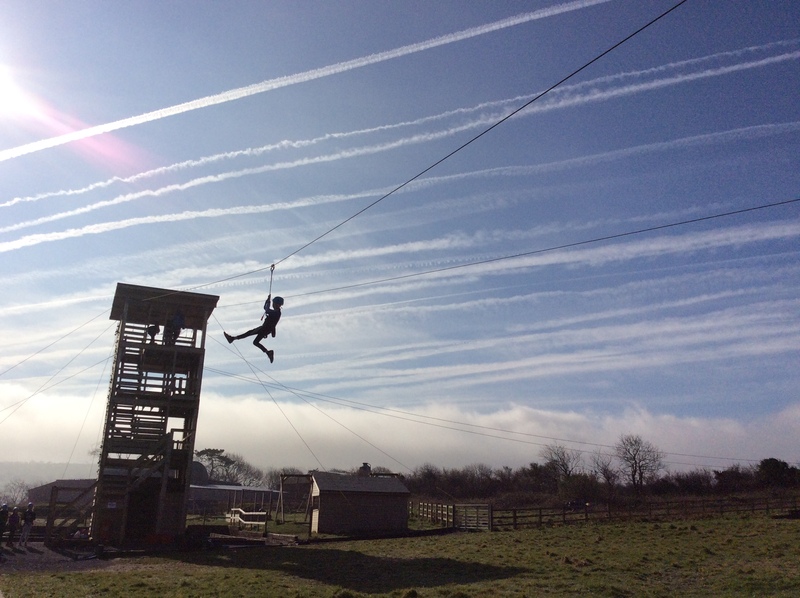 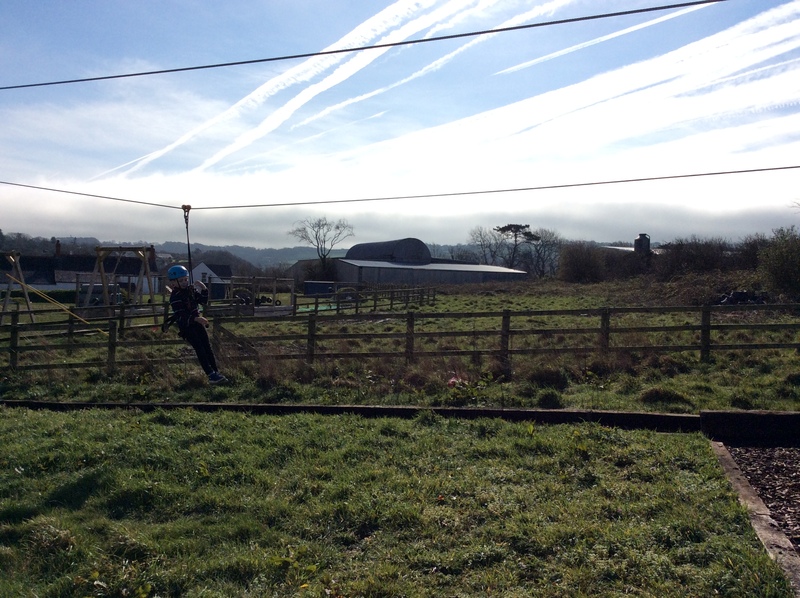 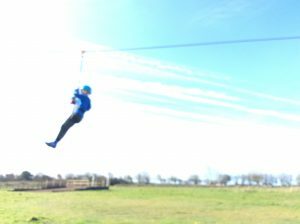 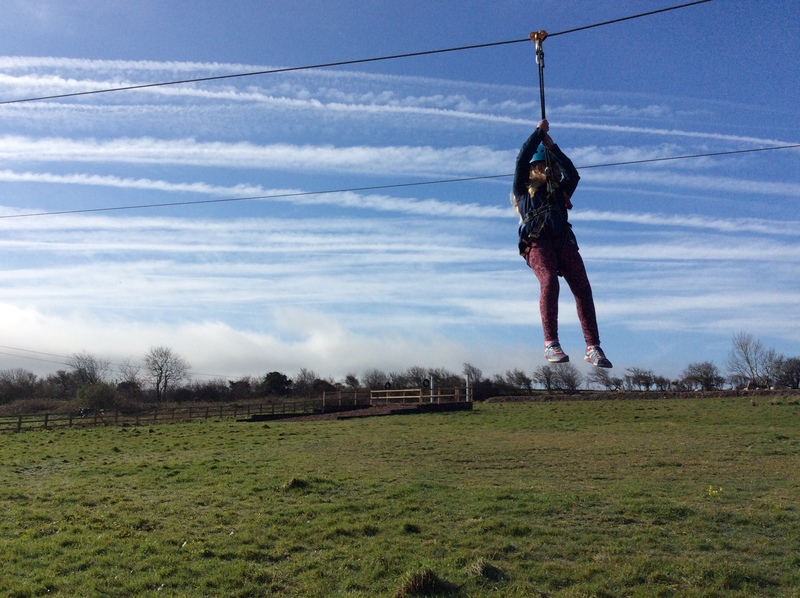 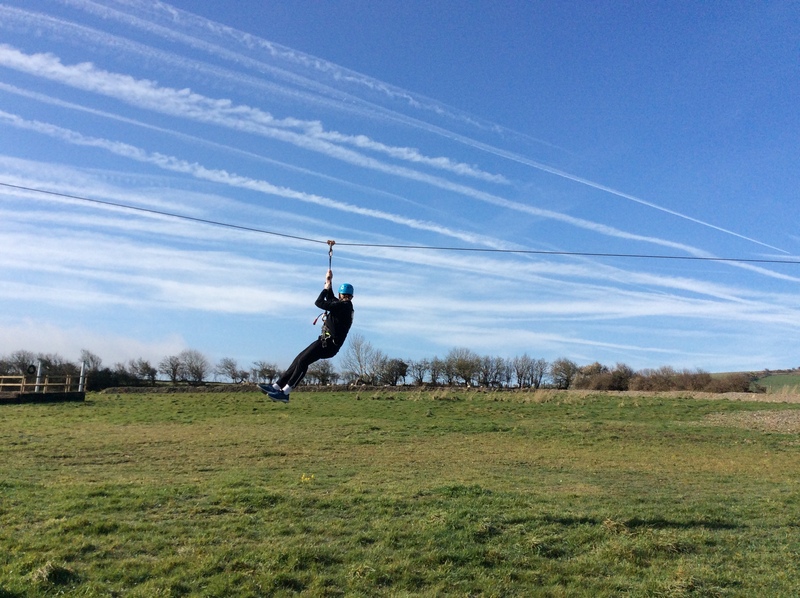 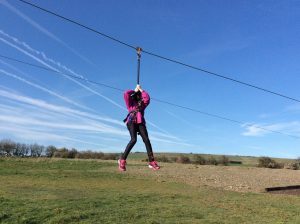 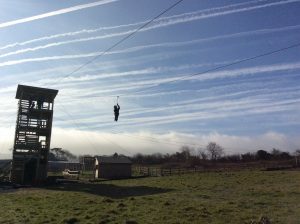 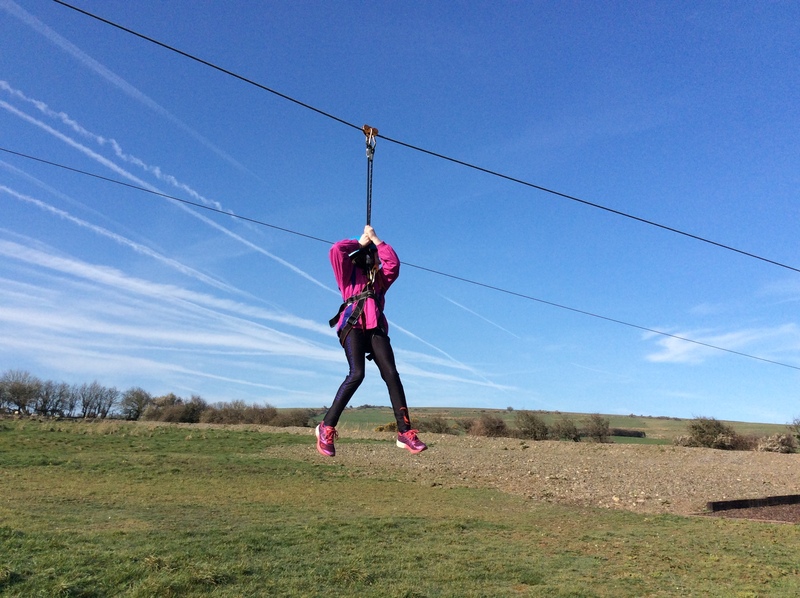 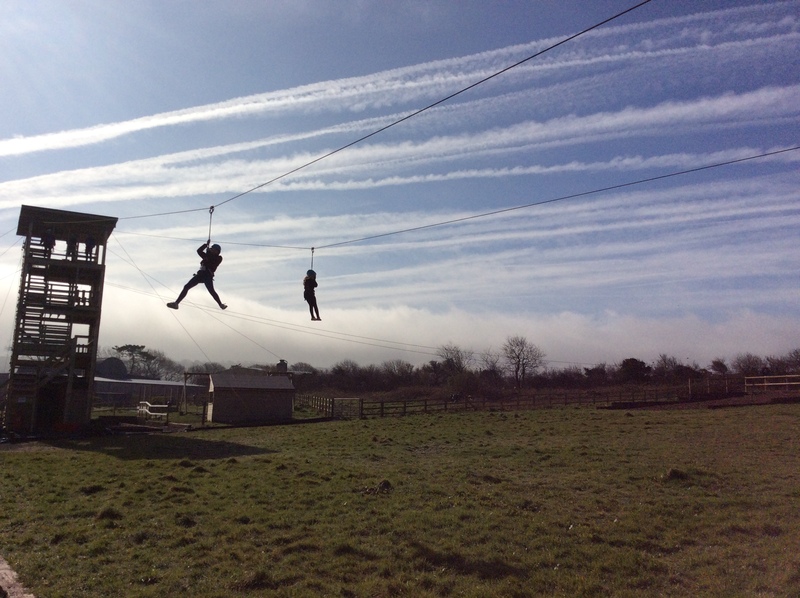 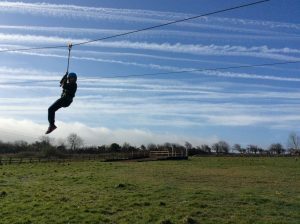 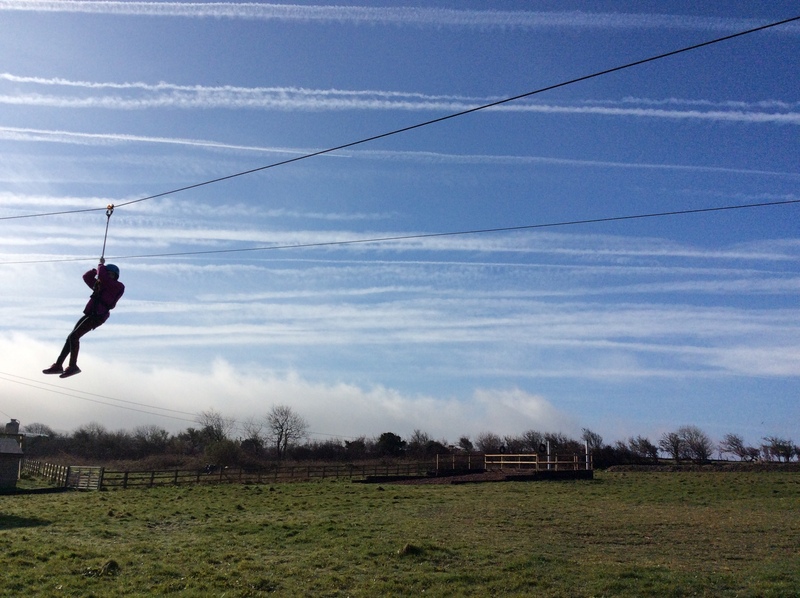 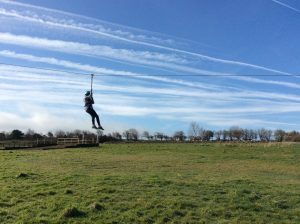 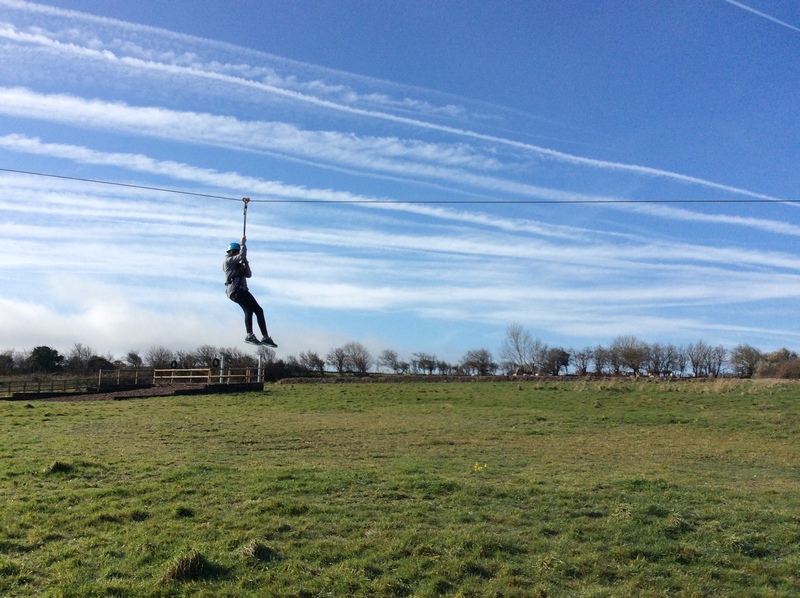 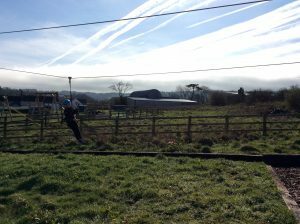 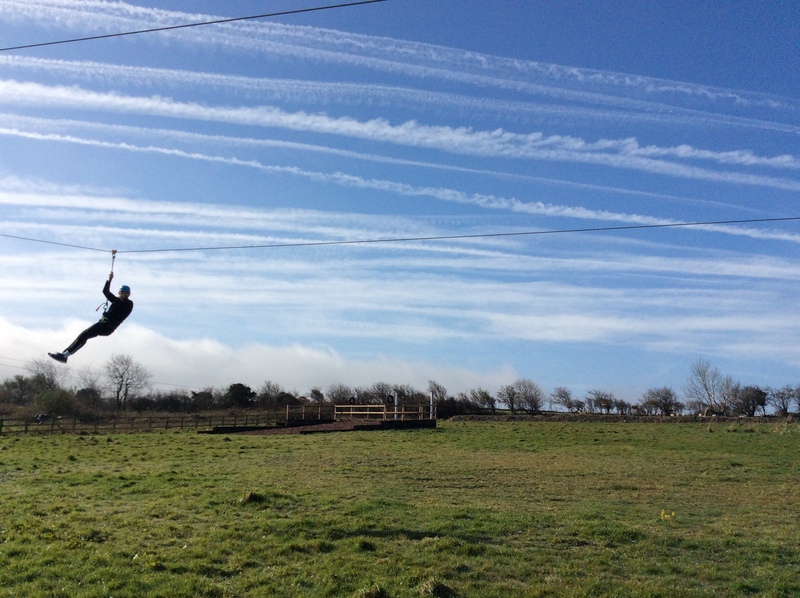 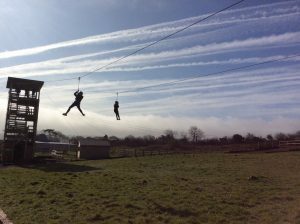 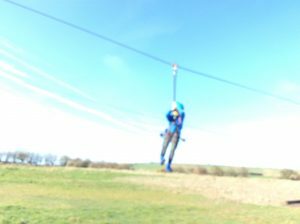 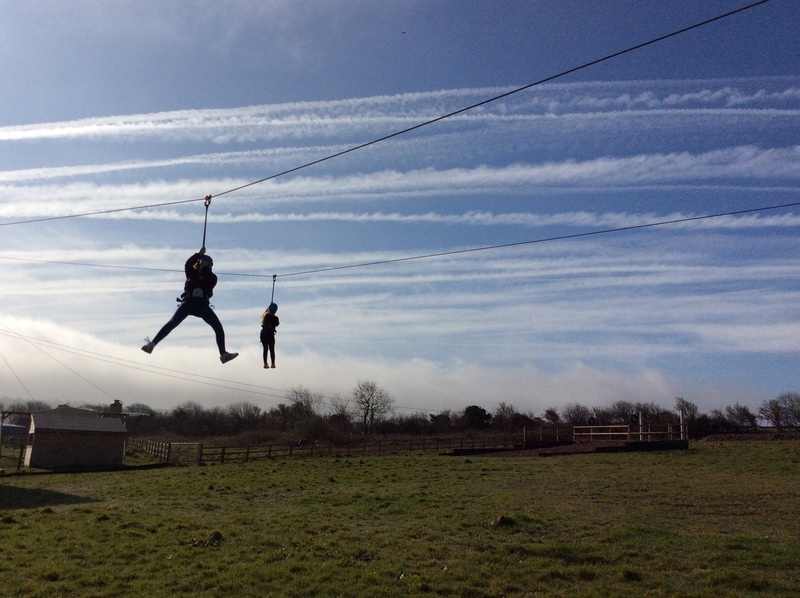 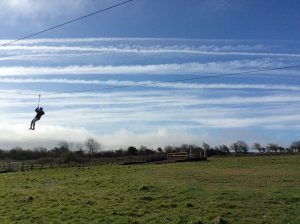 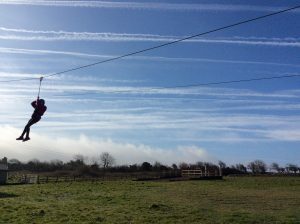 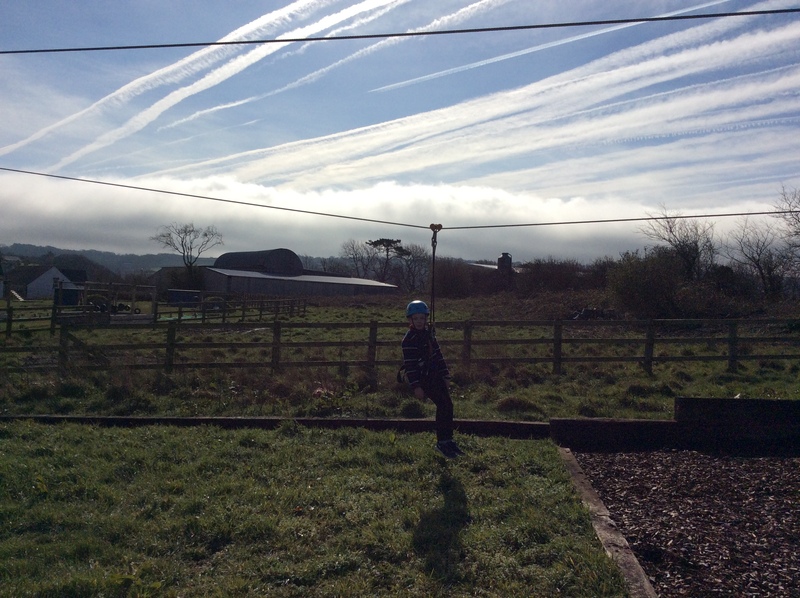 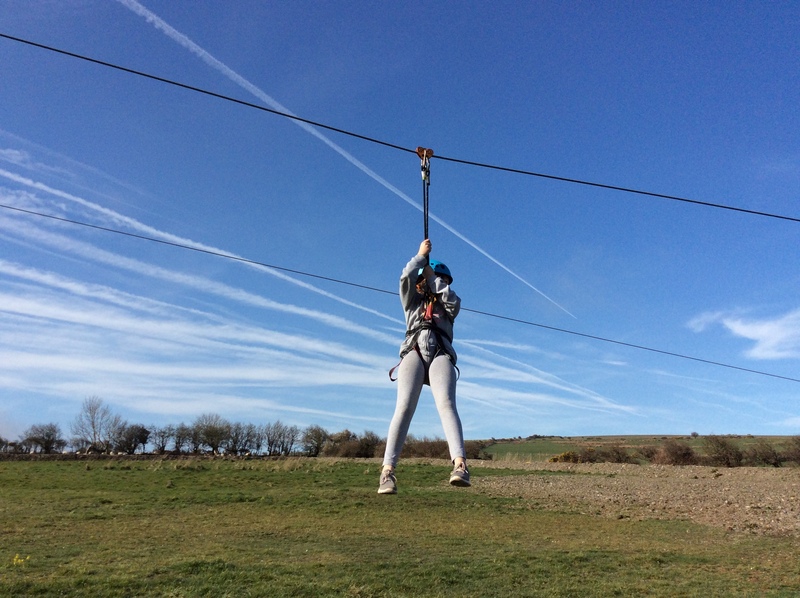 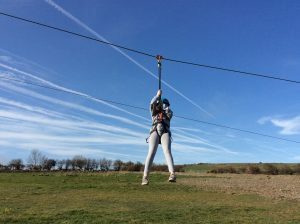 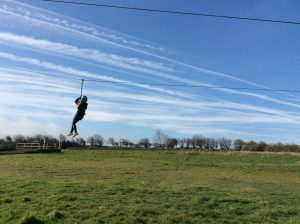 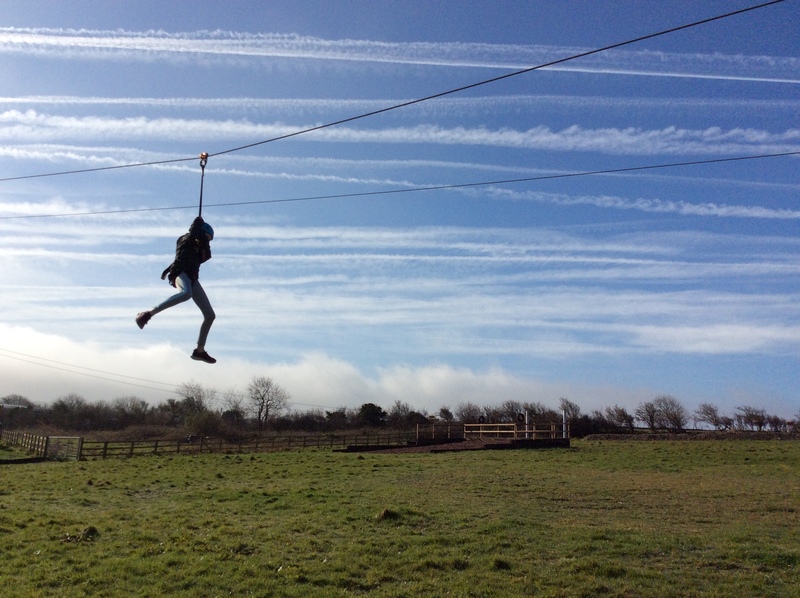 Our last day consisted of packing bags and after breakfast children enjoyed the zip wire and swimming. 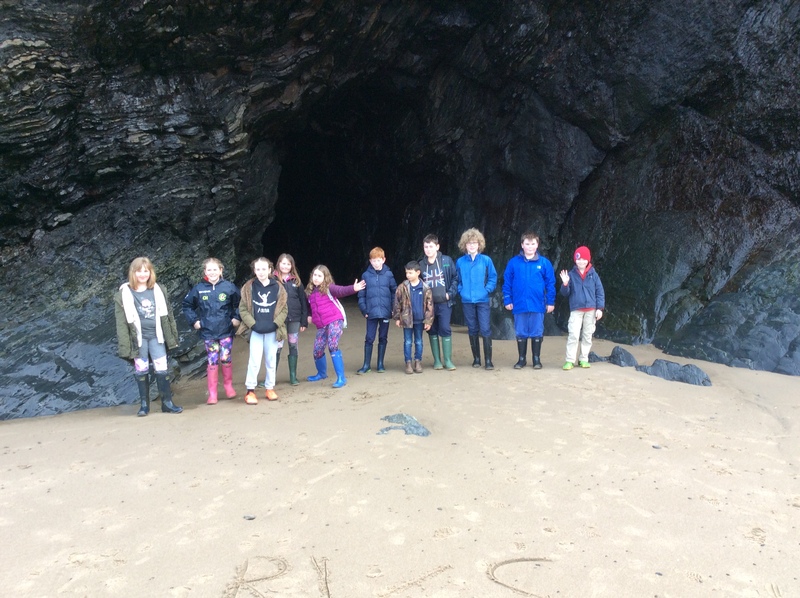 The children had an amazing time and made memories that will be with them for a lifetime. The children were a credit to the school. 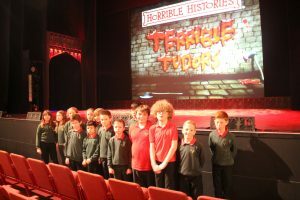 In December we all visited Brecon Theatre to watch Horrible Histories Terrible Tudors, the children really enjoyed this experience. The show was split into two parts with the first part strongly focusing on King Henry the VII and VIII and crime and punishment. 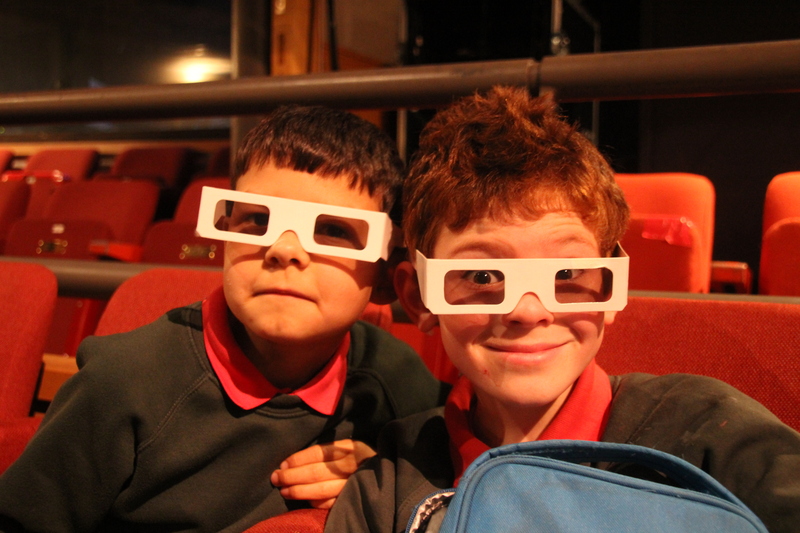 After the interval, children were given 3D glasses and it added a new creative dimension to the show. It looked at medicine which included 3 dimensional spiders jumping into the crowd. 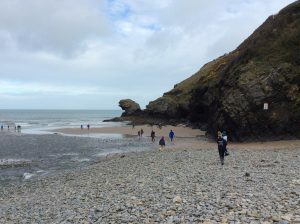 It then focused on the Spanish Armada and Sir Francis Drake which included cannonballs being fired into the crowd. 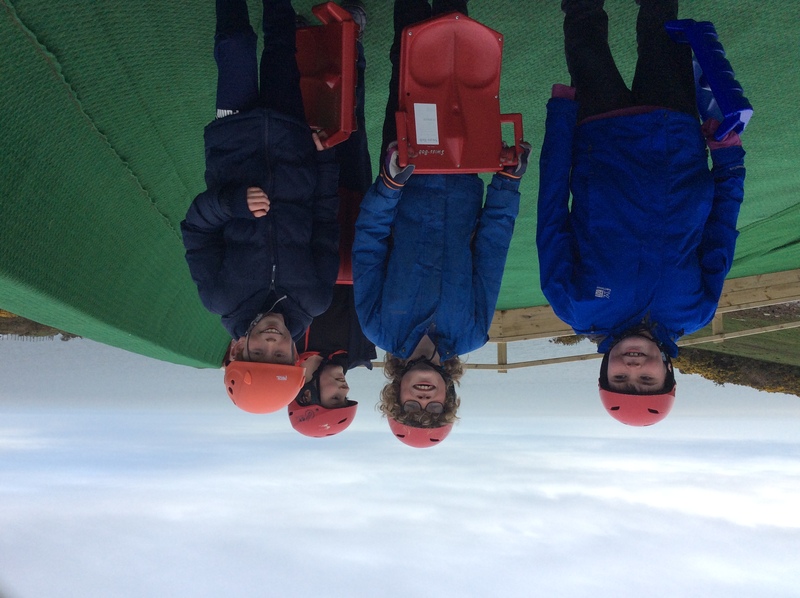 Below are some of the children enjoying the experience. Children enjoyed researching, designing and acting out an interview with King Henry the VIII, bringing their work to life using our own green screen in school. 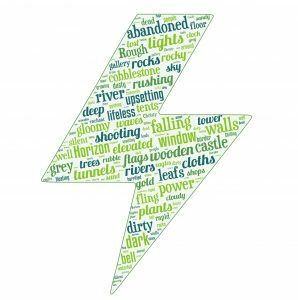 Please click the letters below to watch our finished interviews. 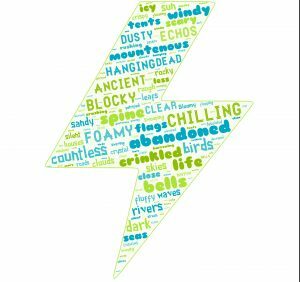 Epic Citadel - Creative writing. Possibly one of the best apps on the iPad to ignite the children’s imagination and creativity is Epic Citadel. 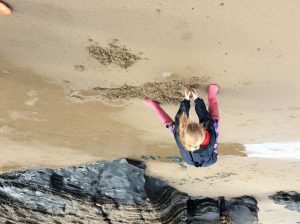 The app is basically the setting for the computer game, Infinity Blade. A medieval kingdom, where the children can explore every inch of this fantasy world. Before I started planning to use Epic Citadel I came across some websites from classes who have used the app before. 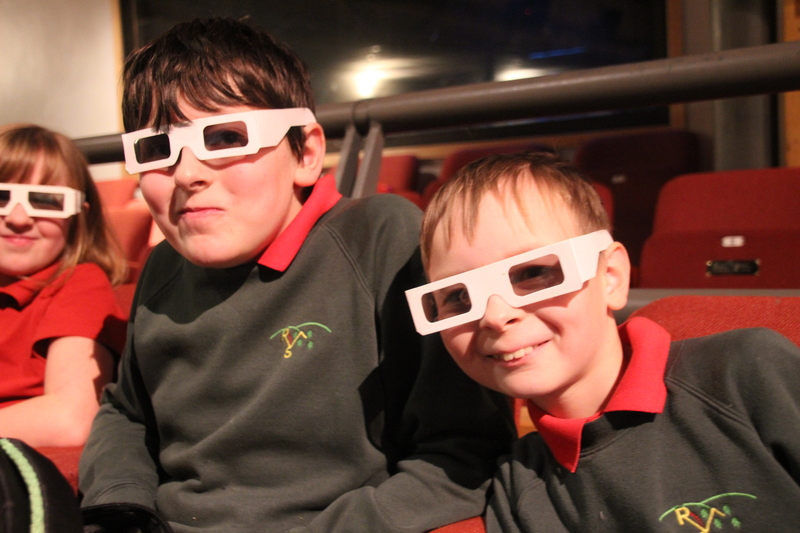 The children explored the app, they were given plenty of time to investigate and discover the world of Epic Citadel. 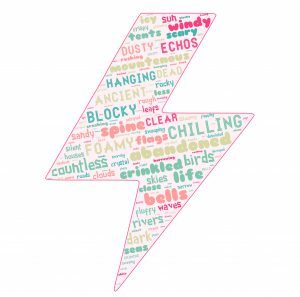 They then generated a world cloud using the app tag cloud to make a word bank of descriptive words that could be used in future weeks. 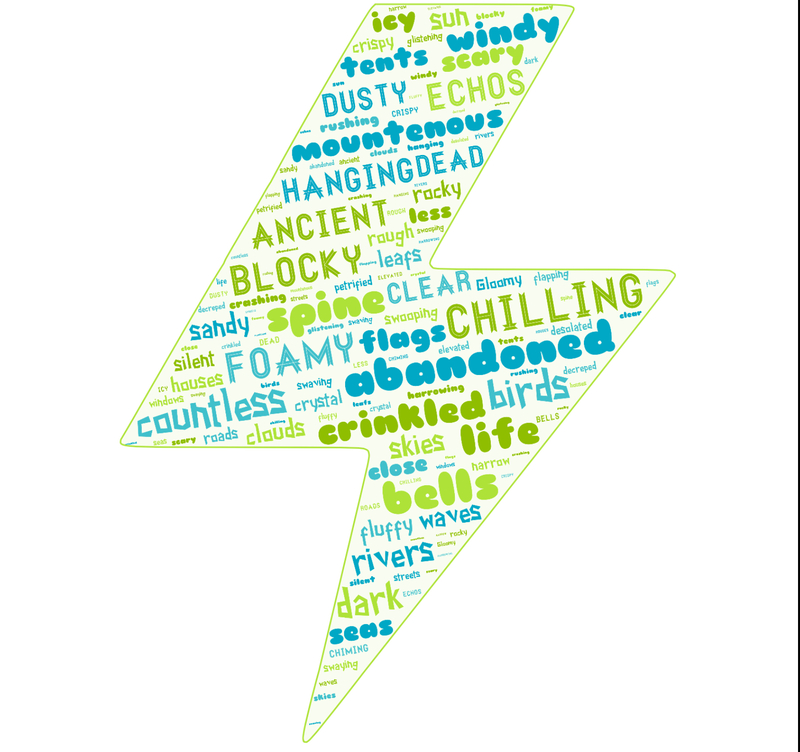 Above are some of the word clouds the children developed. Used the app Keynote for the children to write an opening for the setting using the Alan Peat “Imagine 3egs:” sentence. 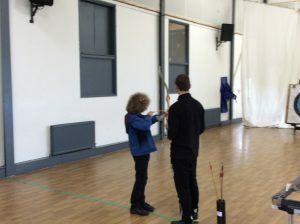 Building on from the previous lesson the children continued to write their opening using a slow writing technique, children then developed questions asking why was there no one there, as a class we decided that they had ben subject to a plague, that was transported by rats. 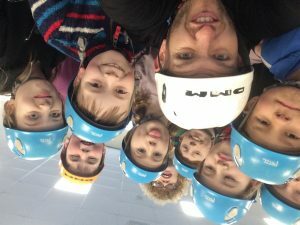 The creative ideas were amazing and the standard of writing was excellent. 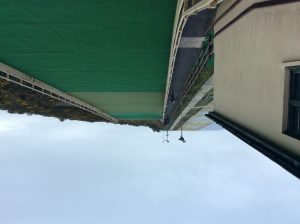 They then saved some screenshots from the app and imported them into iMovie where they then narrated their openings over their pictures. 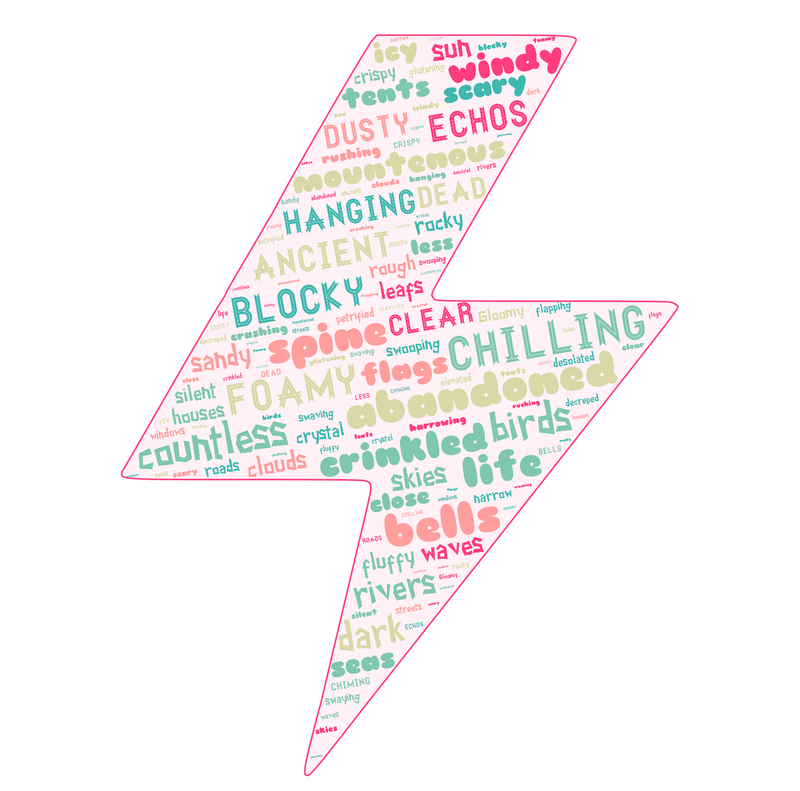 We then used the app Aurasma to turn their videos into Augmented Reality Auras using their word clouds from lesson 1 as a trigger image. 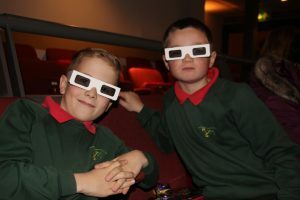 Please click below to watch some of the amazing iMovies they created. Children from years 4,5,6 have been taking on a RICH science task that has been developing their problem solving skills and starting to think about the new Welsh curriculum by looking at the four key purposes. 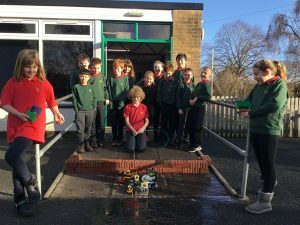 Children were given a scenario that they had to travel back to New Radnor in a time machine to Tudor times, to help the villagers with the flooding of the local rivers. 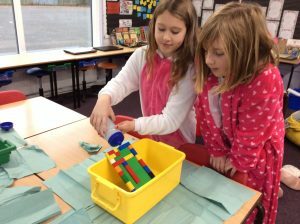 Children researched local dams and the main function of a dam, exploring scientific vocabulary like water pressure, gravity and volume of water. 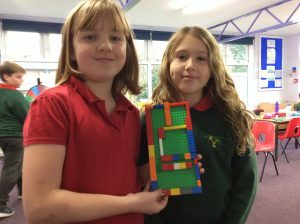 After their research, children using Lego had to design three different dams using 20 Lego bricks and predict what dam would be best for holding the most water based on their previous research. Children then tested by adding 1000ml of water and seeing how much water they saved. To further develop the children’s, data and computational thinking children used microbits, which is an open source hardware ARM-based embedded system designed by the BBC .The children were given another scenario that their new built dam was cracking and that they had to develop a warning system for the villagers of New Radnor that they could take back in time with them to the Tudor villagers of new Radnor. Children used the microbit software and programmed the microbits using the laptops to make the microbit sound an alarm of their choice. 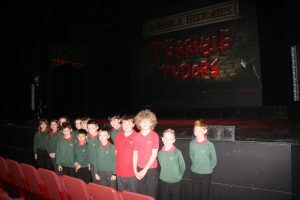 In addition they programmed the computer to digitally show a warning in message in both Welsh and English. 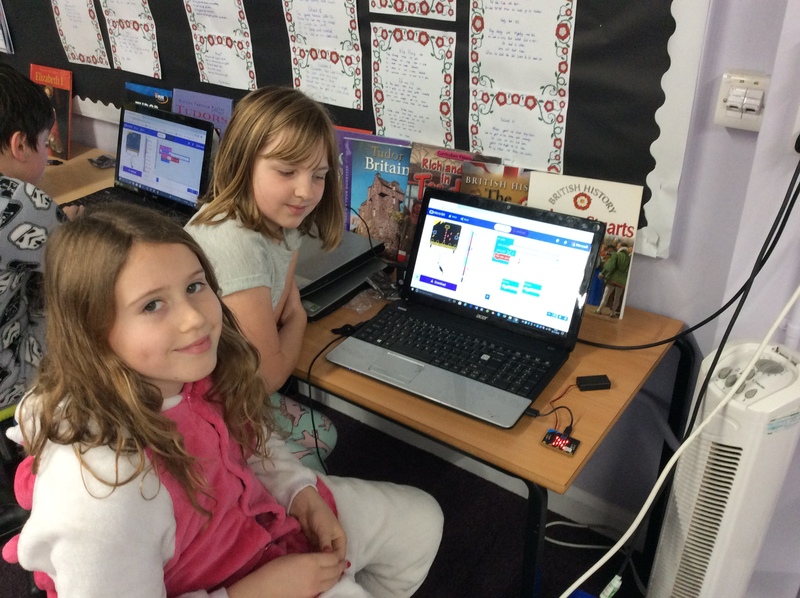 Some even programmed the microbit to show the message and alarm as the microbit was shaking, replicating a crack in the dam. 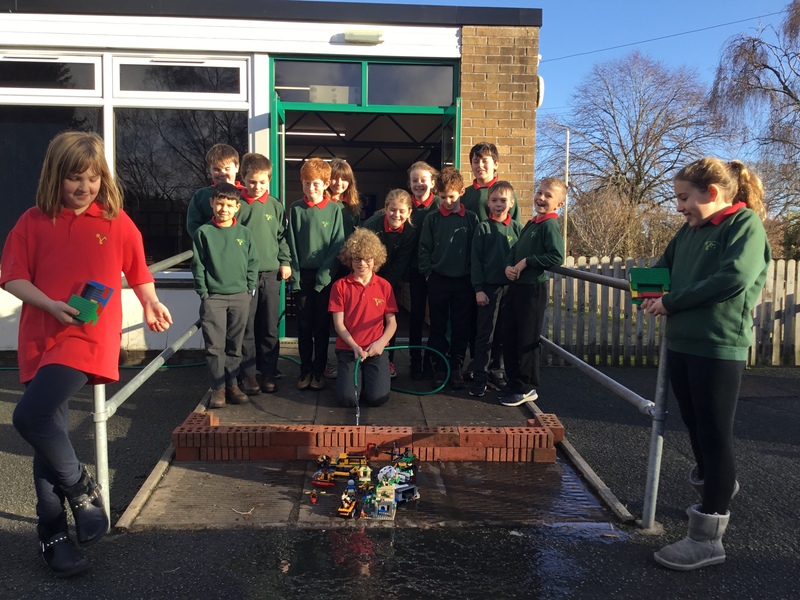 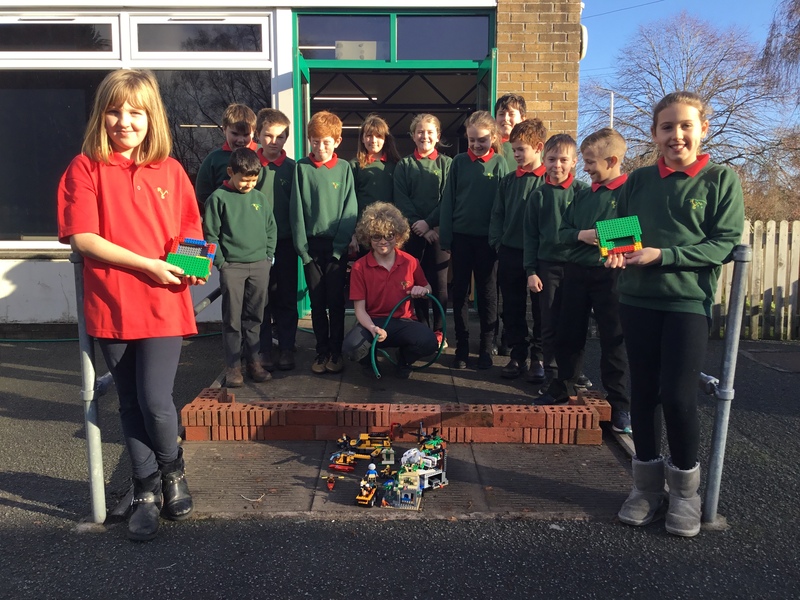 The voice of the learners then decided they wanted to upscale the dam using 30 building bricks that were kindly donated by DW Builders, to save a mini Lego village (New Radnor) from water. 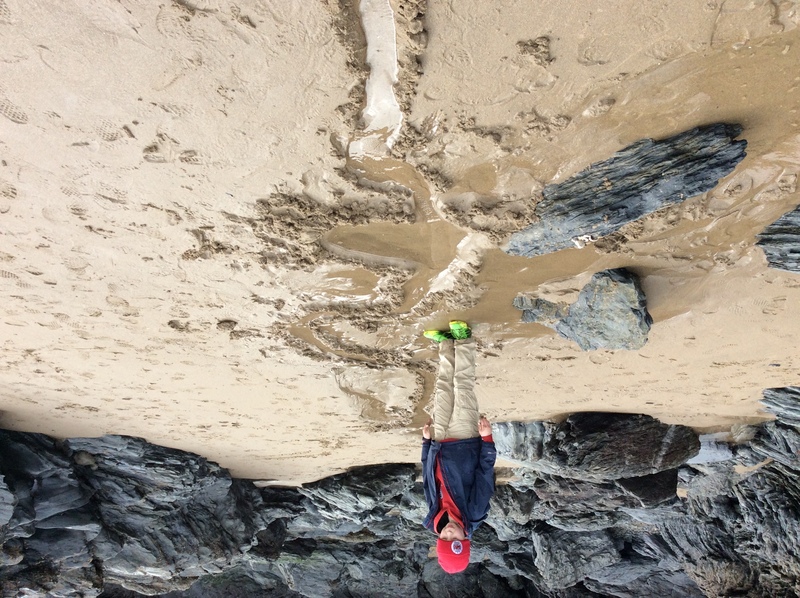 Children then developed various dams, repeatedly changing the design until the village was safe from the flooding dam. 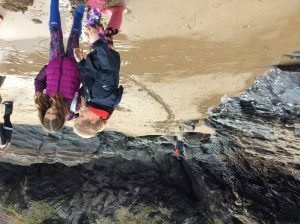 Some children then developed an explanation using the video in the background using our green screen technology in school. In October we went to the Mitchell hamer in Kington. The school played 5 football games. 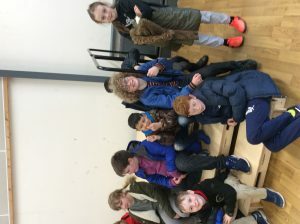 The results were we drew 0-0 in three games and we won two games 2-0 and 9-0. 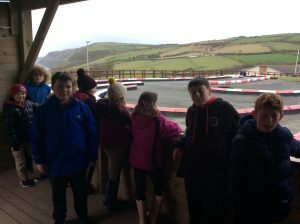 Even though we didn’t let in a goal, we missed out on the semi final by 1 point. 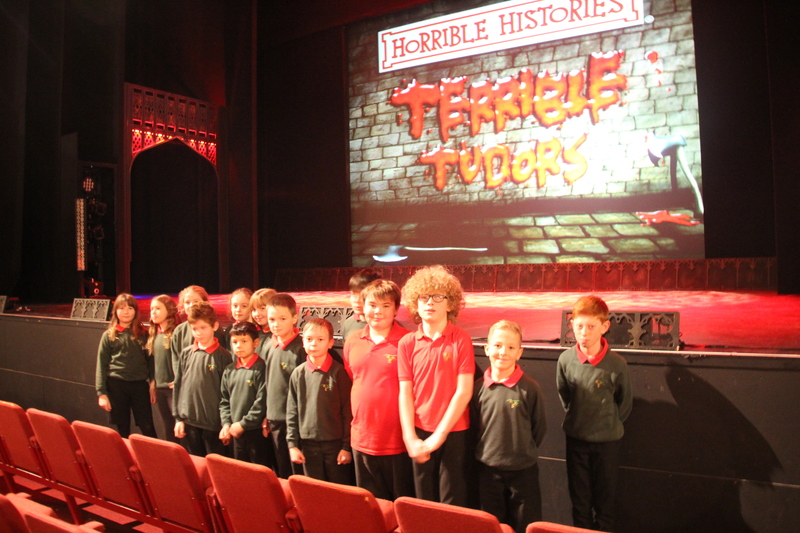 We were very pleased with our performance and the children thoroughly enjoyed themselves. 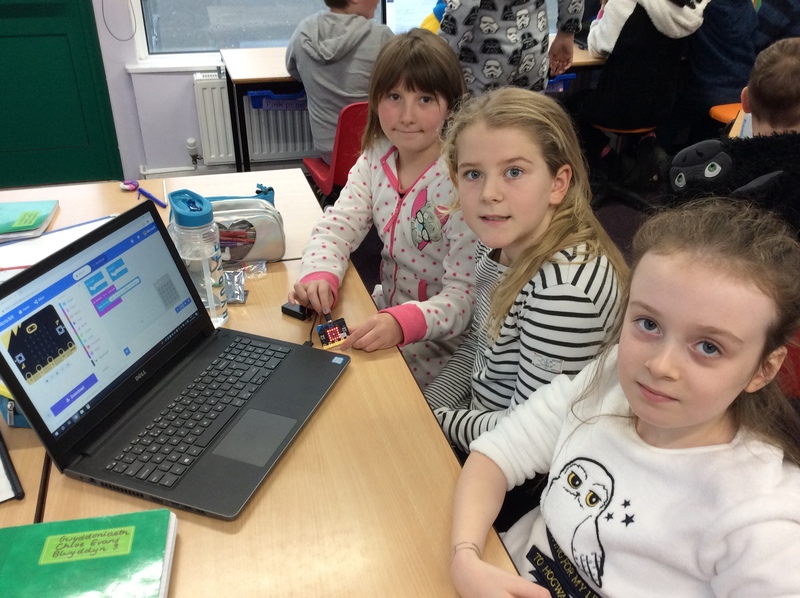 In October we completed 7 computer games with Irfon Valley CP School. These games have different levels and we completed the following SC to make sure they were going to be enjoyed by children in Irfon Valley. – -Does your computer game have Tutorials? -Has your game got good graphics? -Does it have an interesting story? -Does your game have interesting characters and nice music to make it enjoyable? 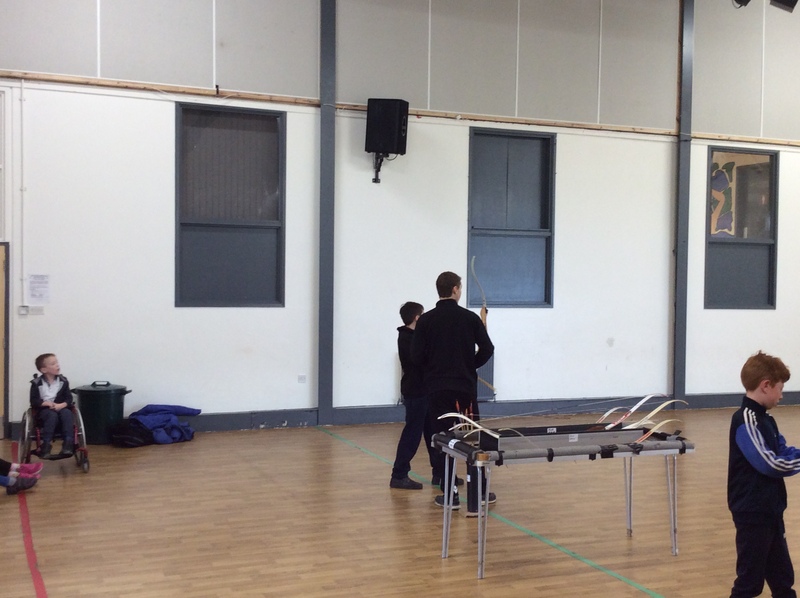 -Does your game have interesting and fun noises in the game play? -Is the game is too hard? 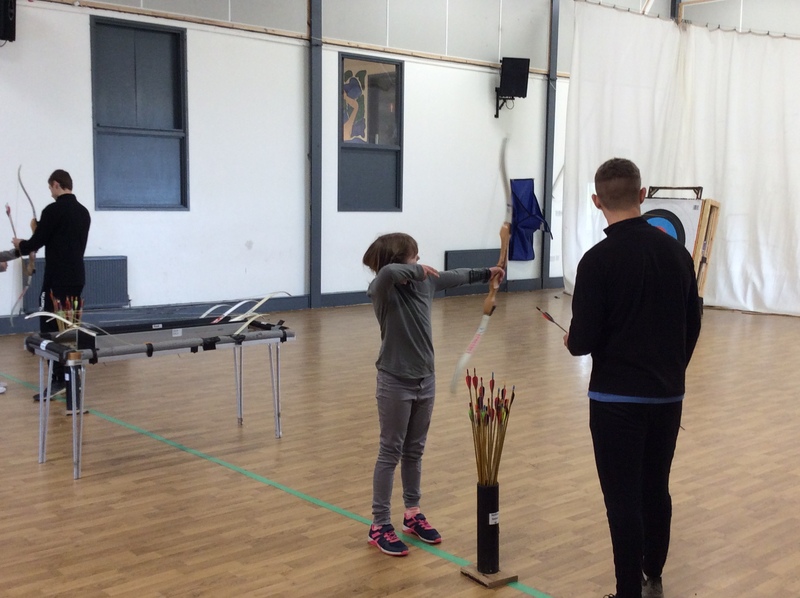 If so your target audience might become frustrated with it and give up. -Is a game is too easy? 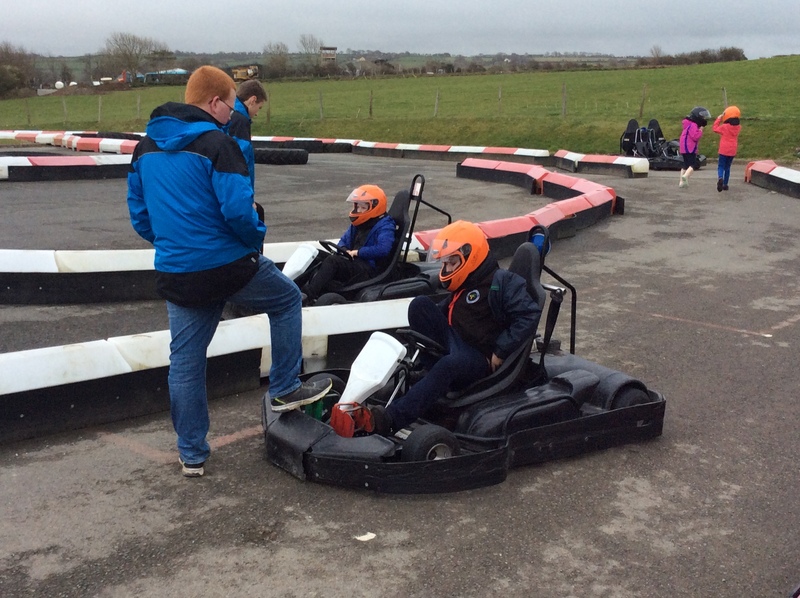 If so your target audience might finish it too quickly and find it boring. 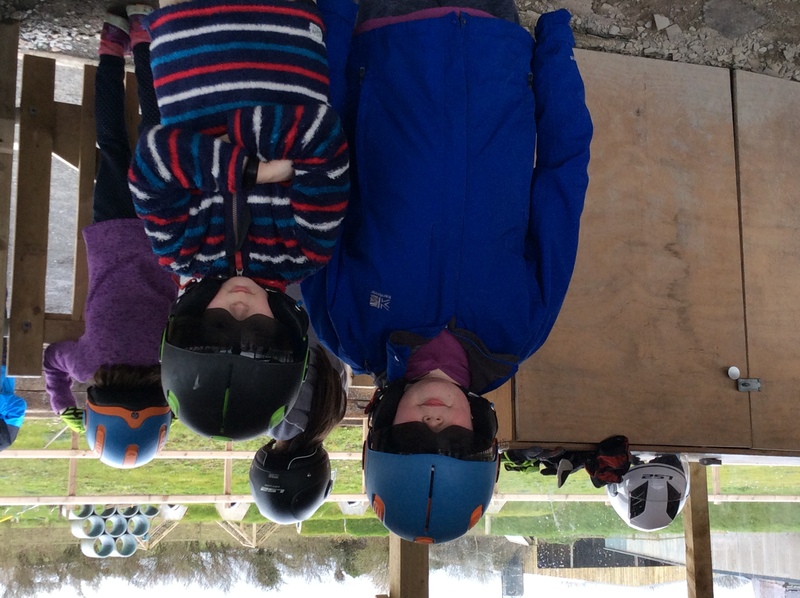 Games need to balance these two extremes. 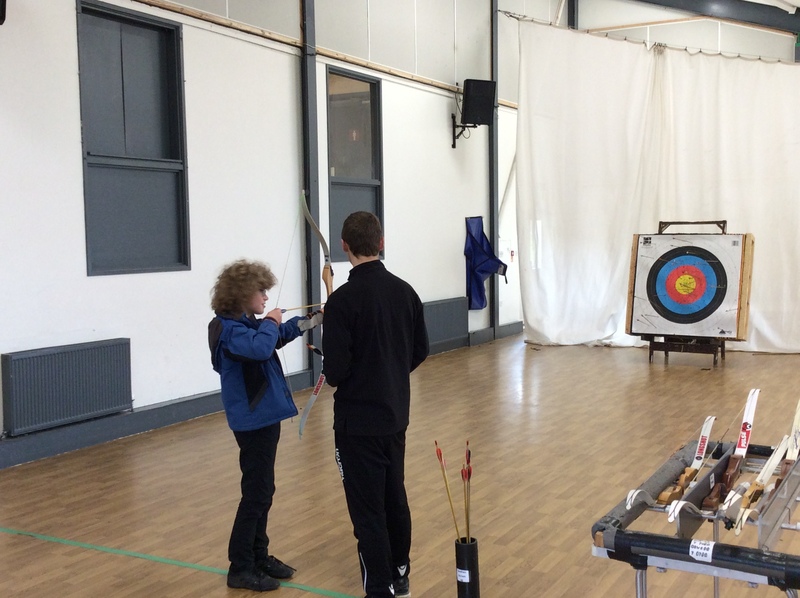 -Does your game give the player feedback? 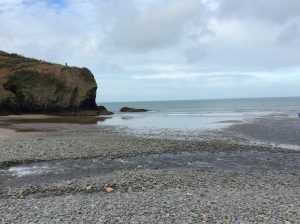 -Has your computer got a Welsh element? 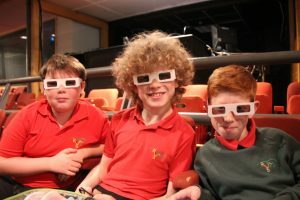 Is your computer game accurate and topic based? Here is the link to see what the games are like. On October the 5th Radnor Valley CP school held their annual football and netball competition the ‘Brook and Border’ this year the event was unique in that it had 3 school clusters competing, from John Beddoes, Builth and Lady Hawkins. 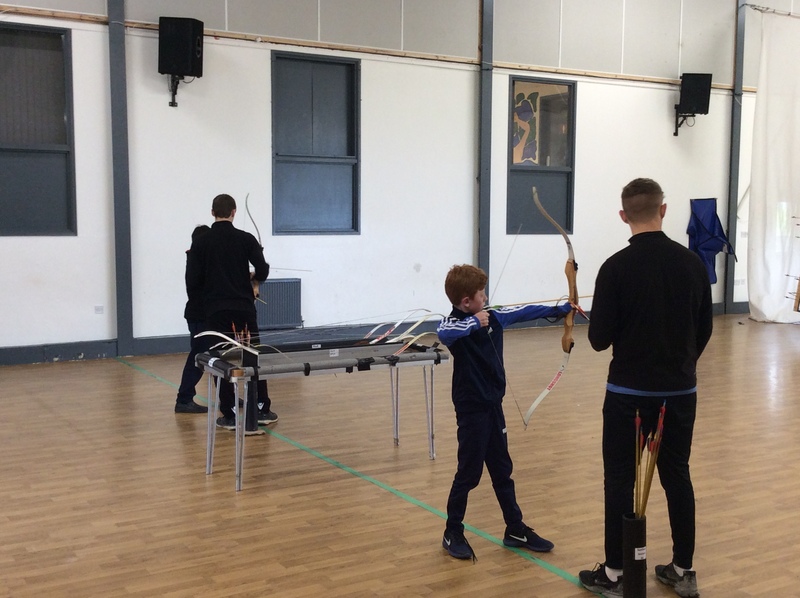 The tournament was a great success and saw over 100 children competing on the day, with great support from the local school and community. 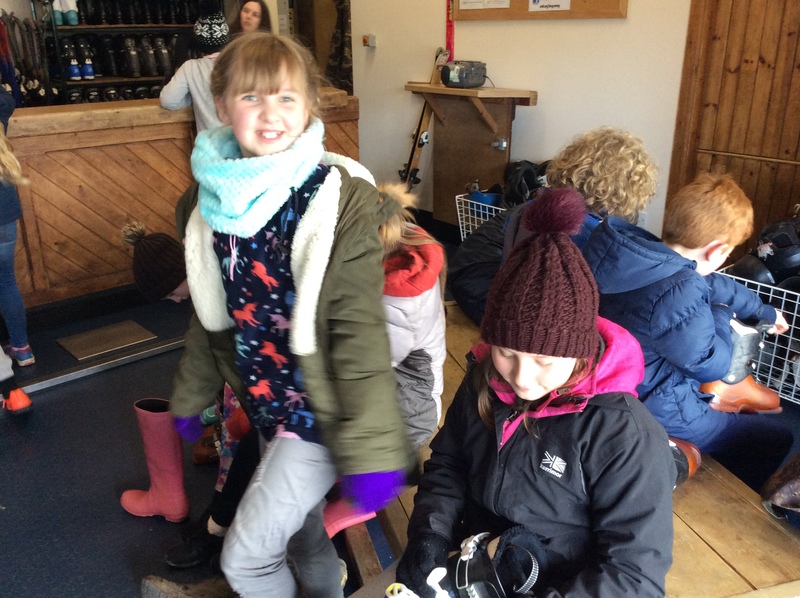 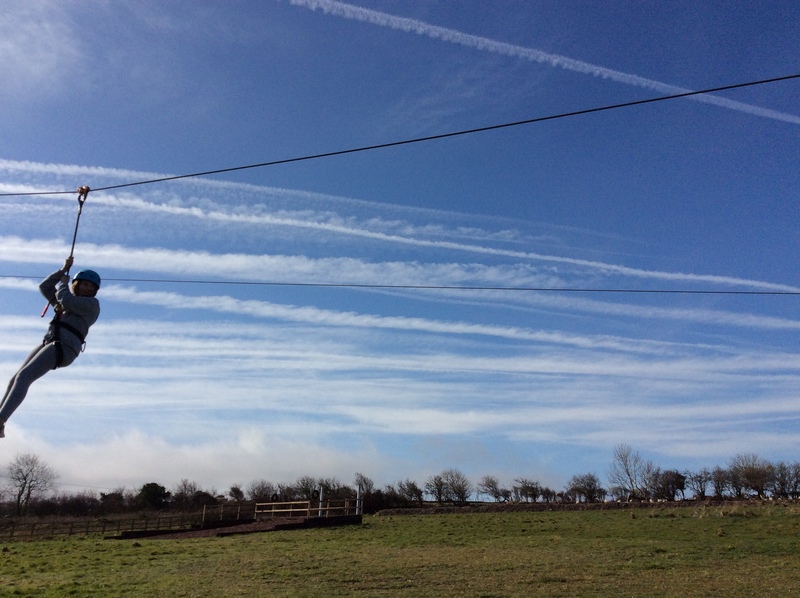 The netball and football was played in the right manner. 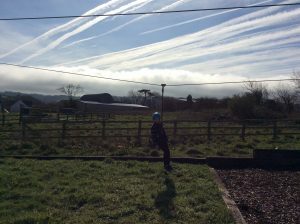 The netball final was between Gladestry and Pembridge, with Pembridge being the overall winners. 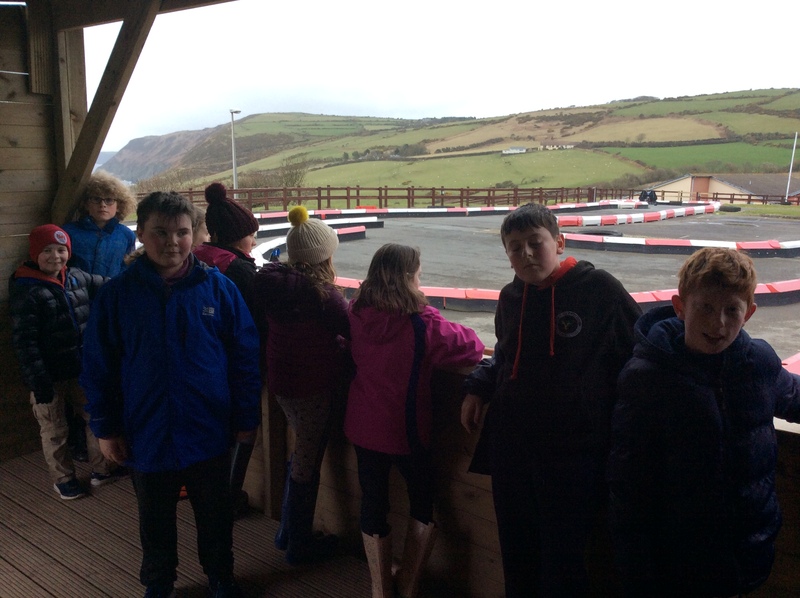 The football final was between Irfon Valley and Kington, eventually seeing Kington become overall winners. 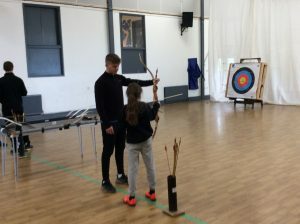 The games were refereed and umpired by students from Lady Hawkins High School, and overseen by the John Beddoes 5×60 officer Jody Owen. 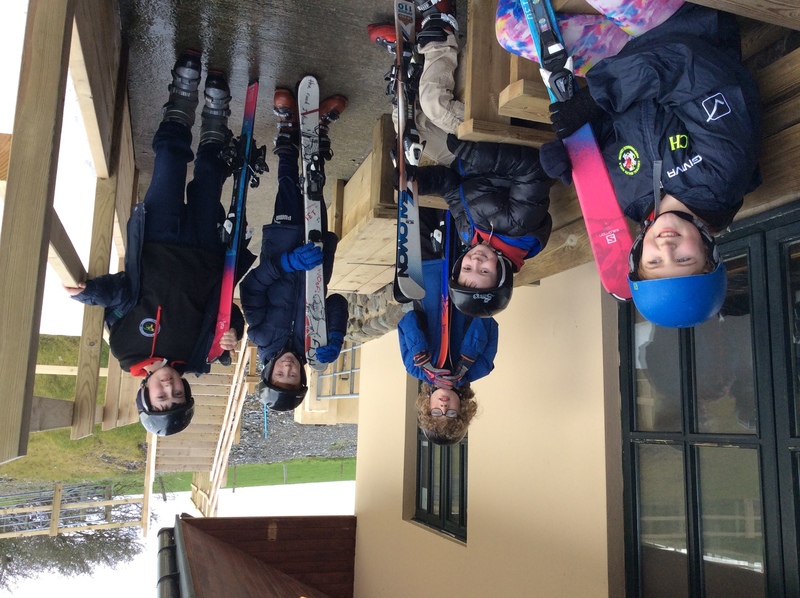 In addition, their were players of the tournament, these were selected by referees and umpires on a criteria which included; skill level, determination, gamesmanship, attitude, and general conduct on and off the pitches. The tournament was a great success with plans to make the tournament even bigger next year. 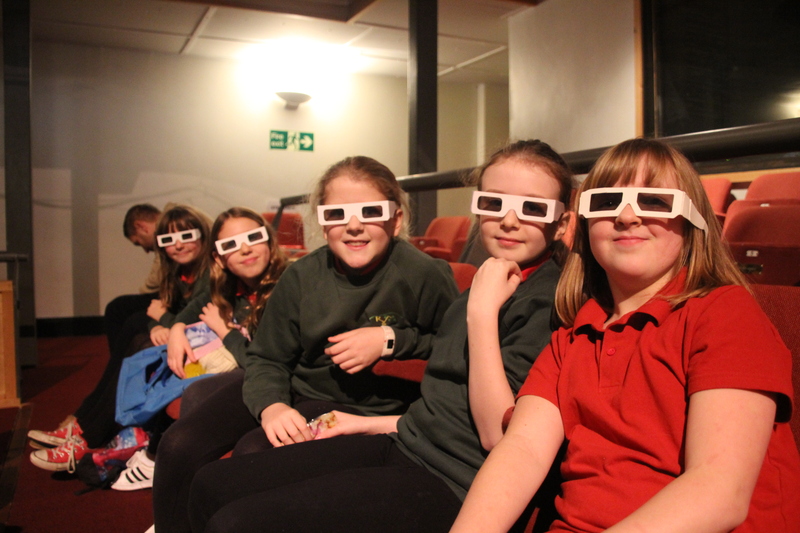 Children visited Llancaiach Fawr mansion this week. Children had a two hour tour around the manor meeting 3 servants of the manor. 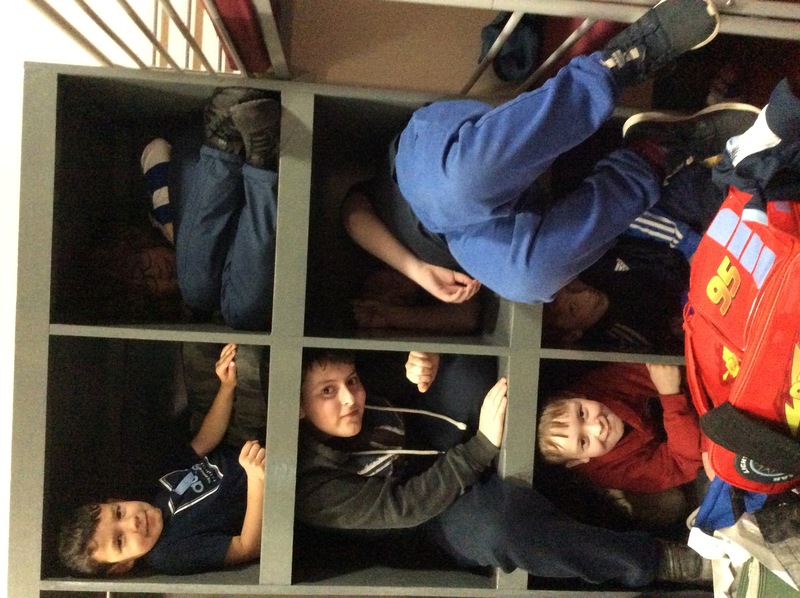 Children visited the base chambers, kitchen, great hall, withdrawing chamber, master bedroom, guest bedroom and armoury room. Children also met a dairy maid, scrivener and Steffan Mathews the surveyor. Each character gave lots of detail on their job roles, history of the house and each room and answered any questions that the children had for them.